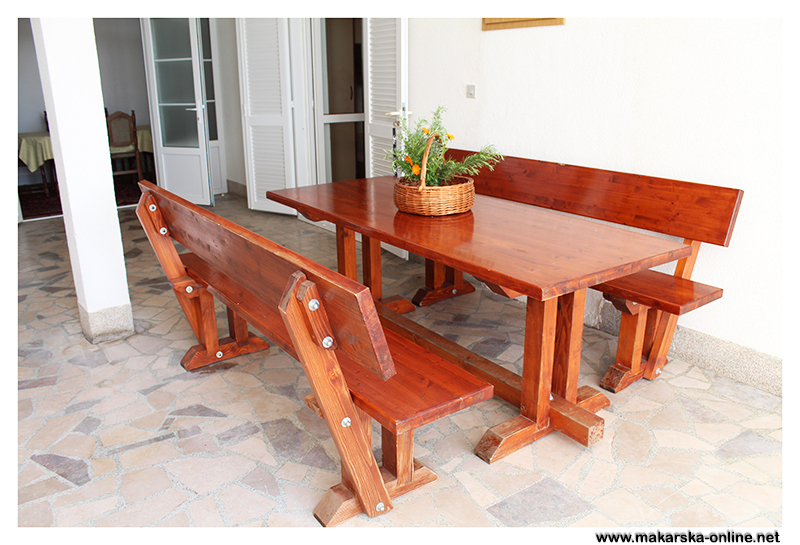 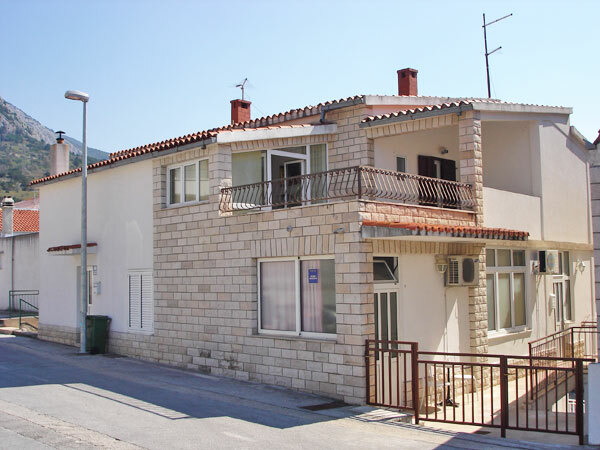 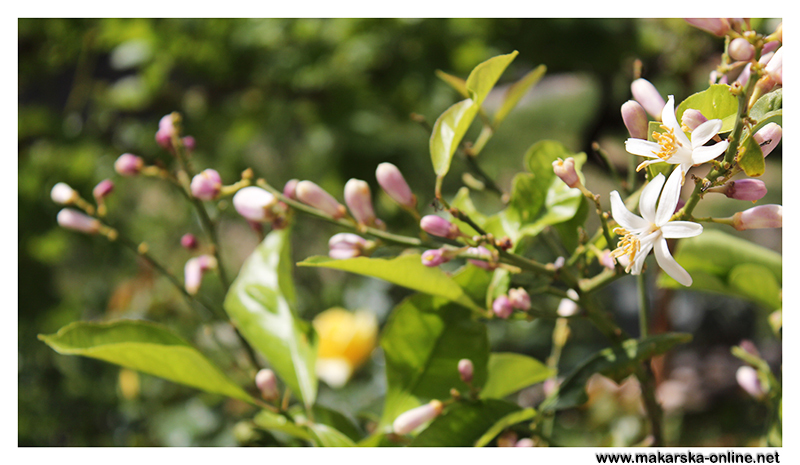 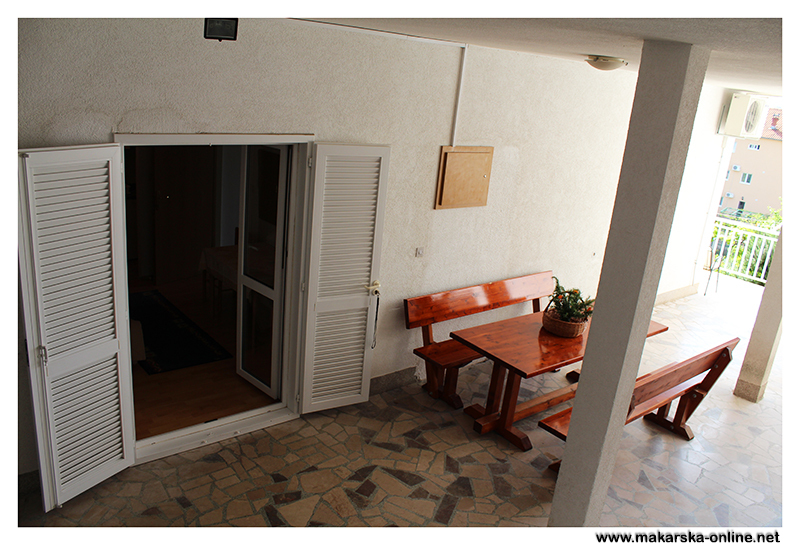 Sani Apartments are situated in Makarska .The house is situated in a quiet setting just 300 meters from city center and 600 meters rom main beach. 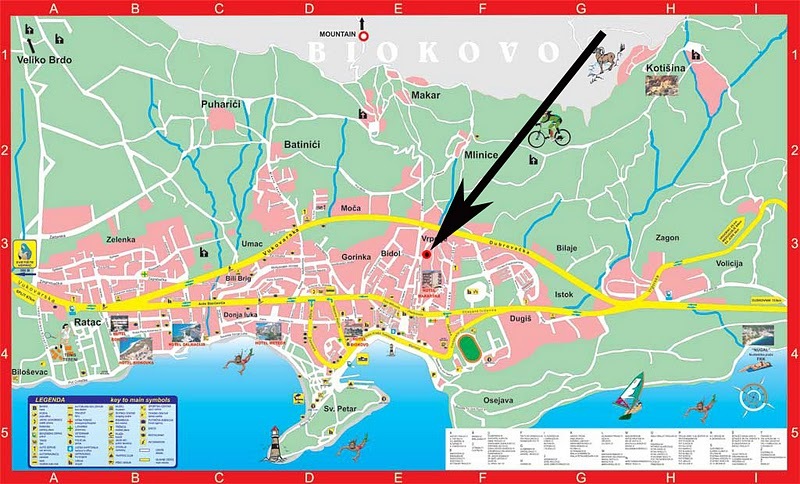 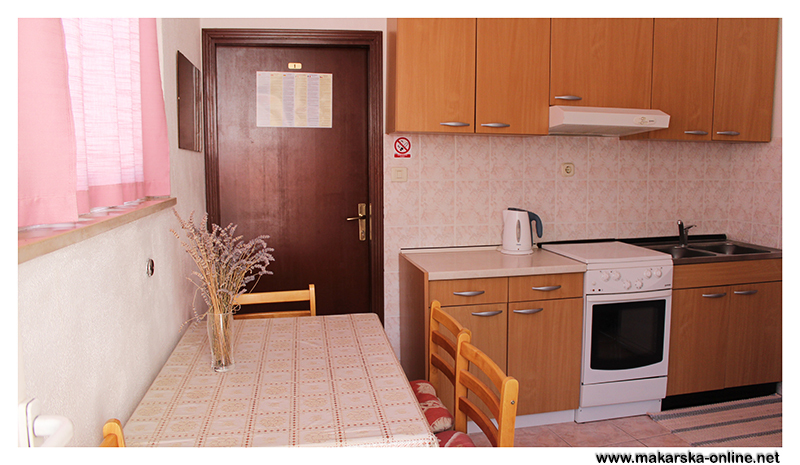 We have five units of accommodation: two spacious apartments for 4 person, two apartments for 3 person and double room with private bath. 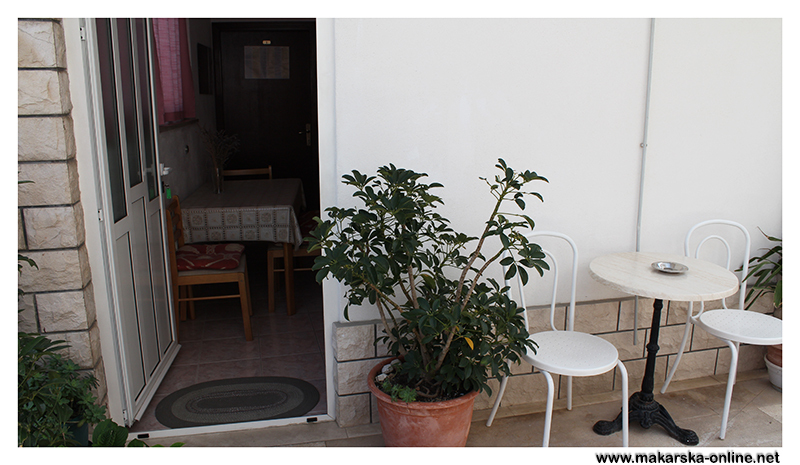 Near the house we have parking places. 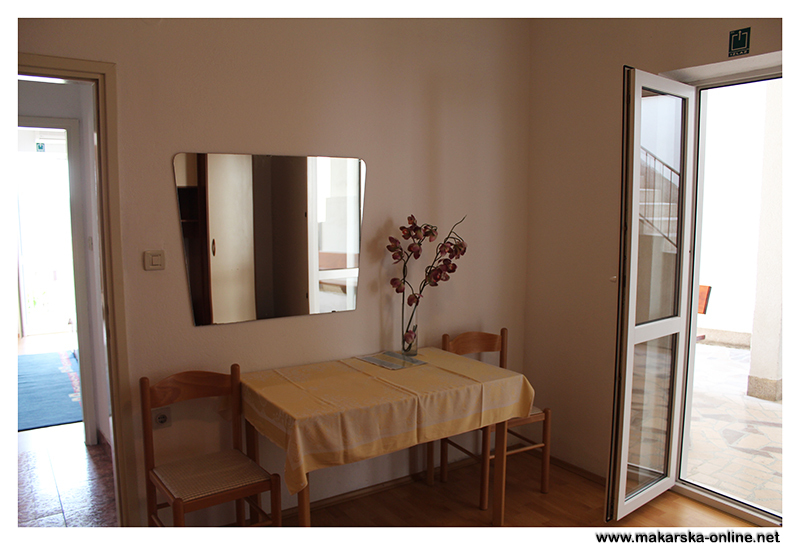 Apartment number 1 is new apartment, it is for 4 person and include kitchen, two bedrooms, each room have own entrance and bathroom, air codnition is in one of rooms, sat/tv, parking, balcony with particle sea view. 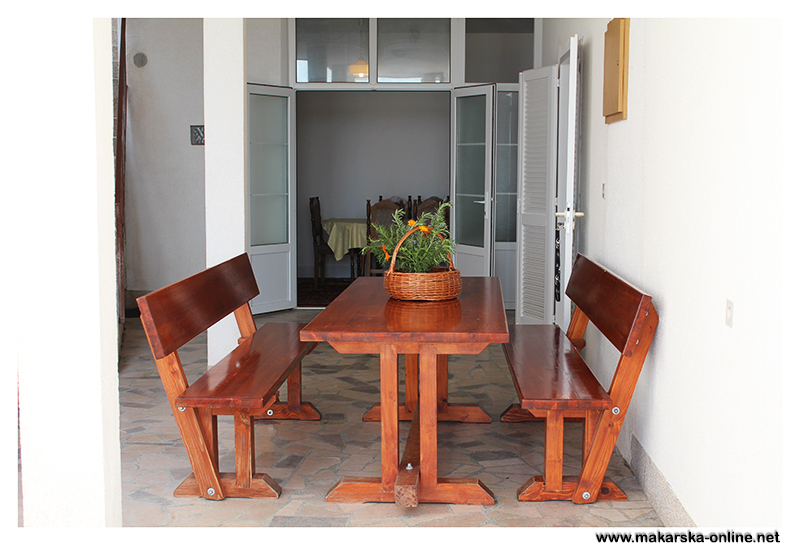 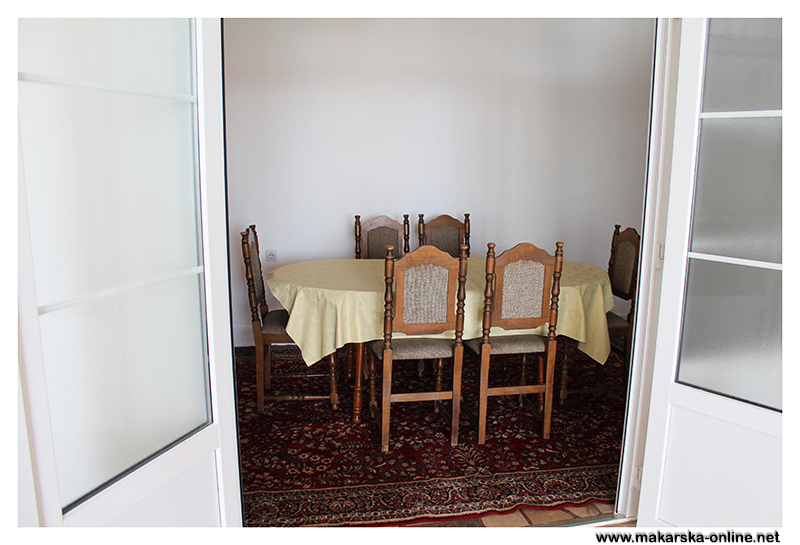 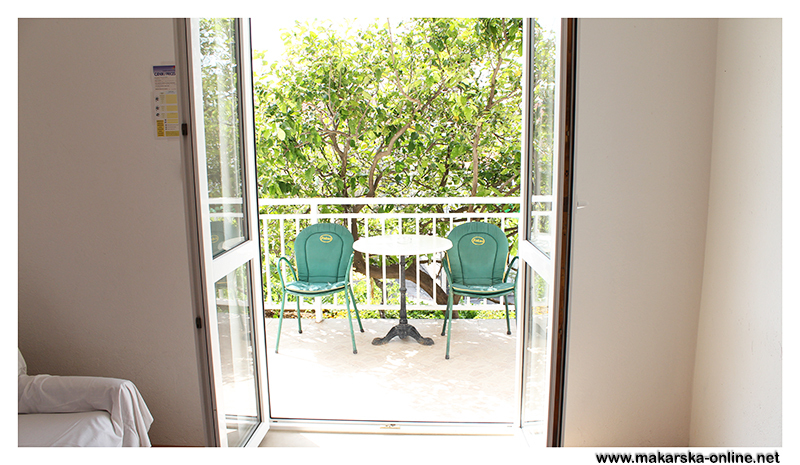 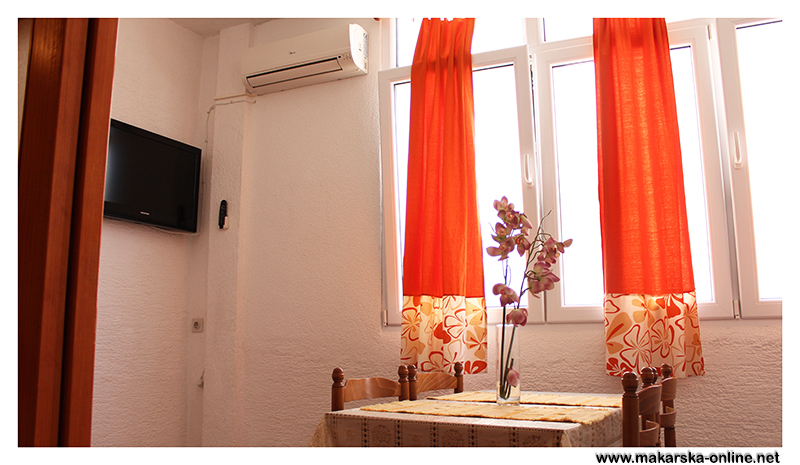 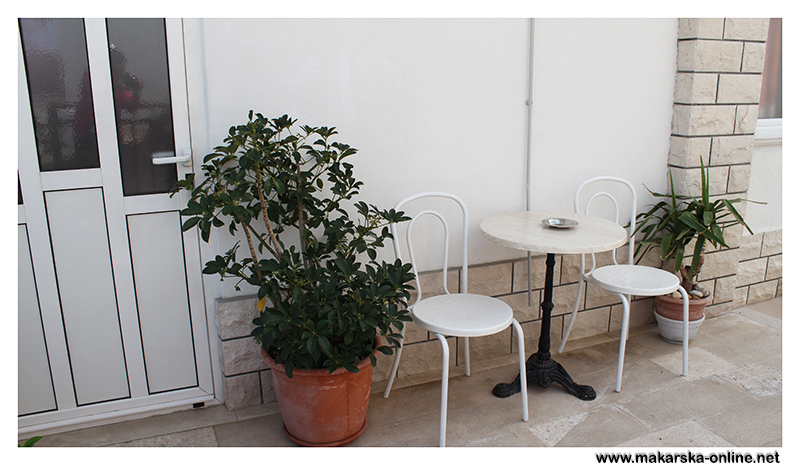 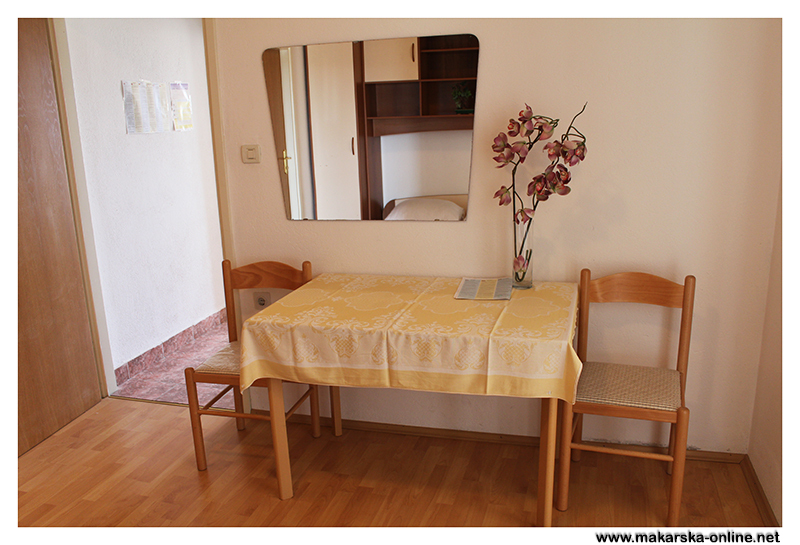 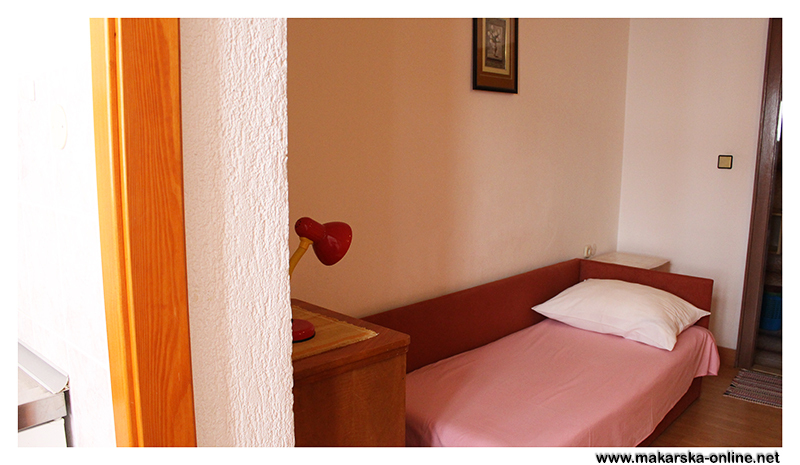 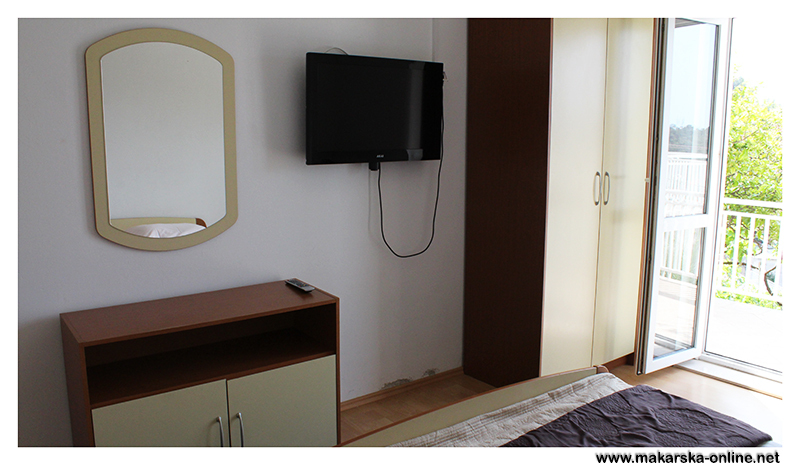 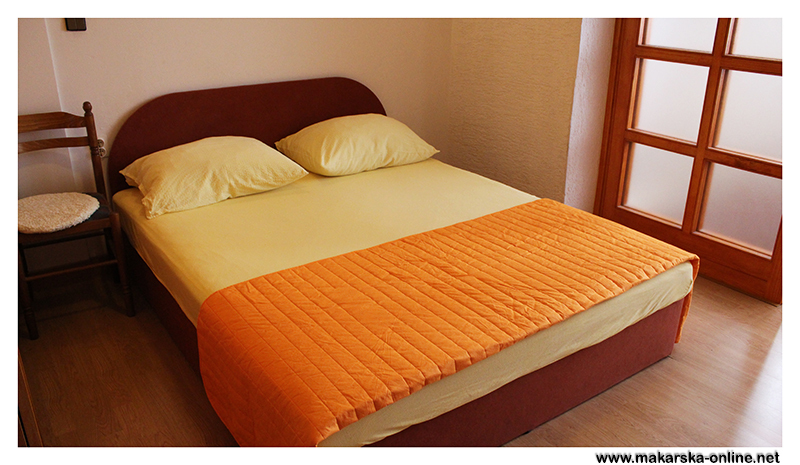 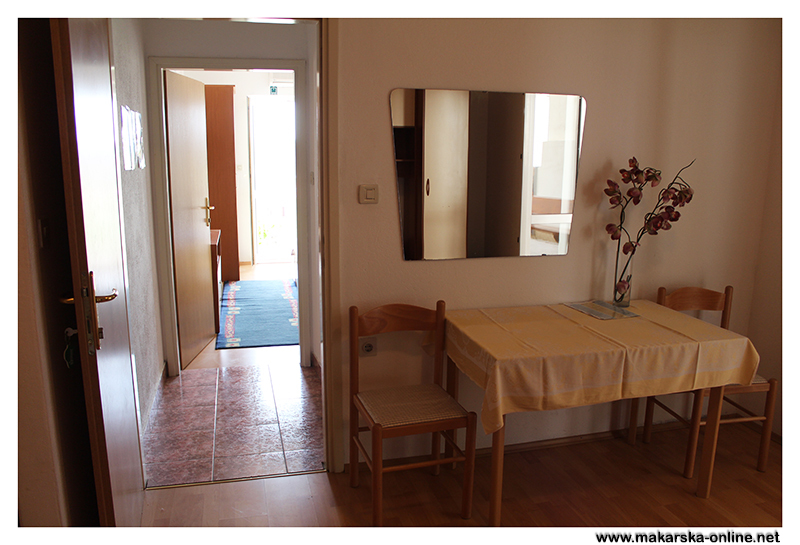 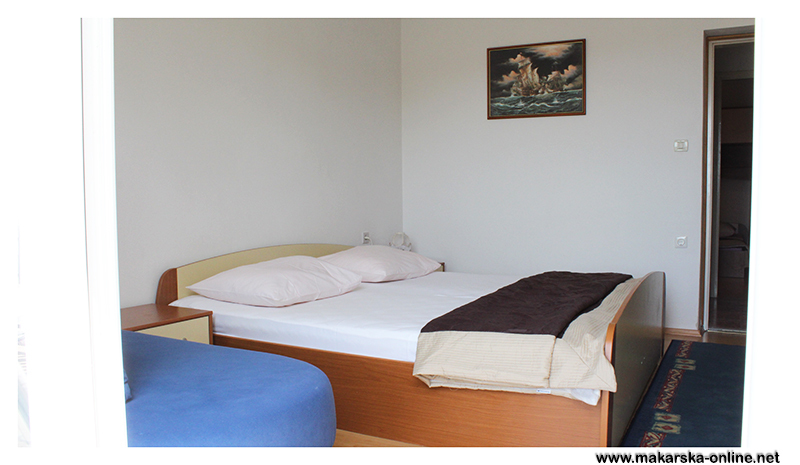 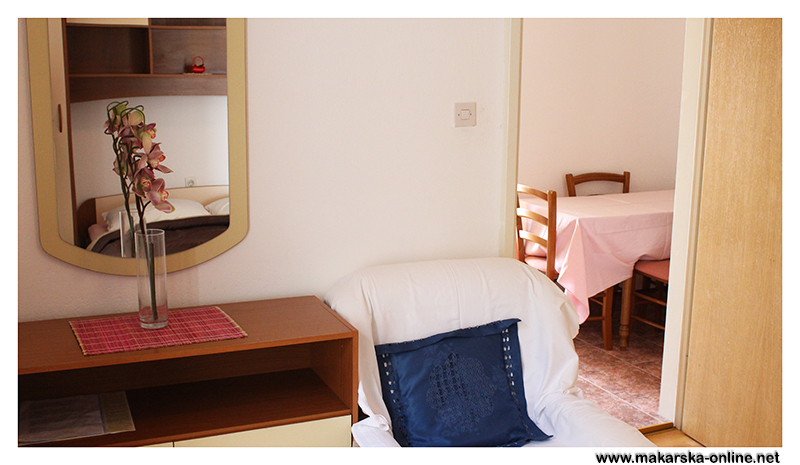 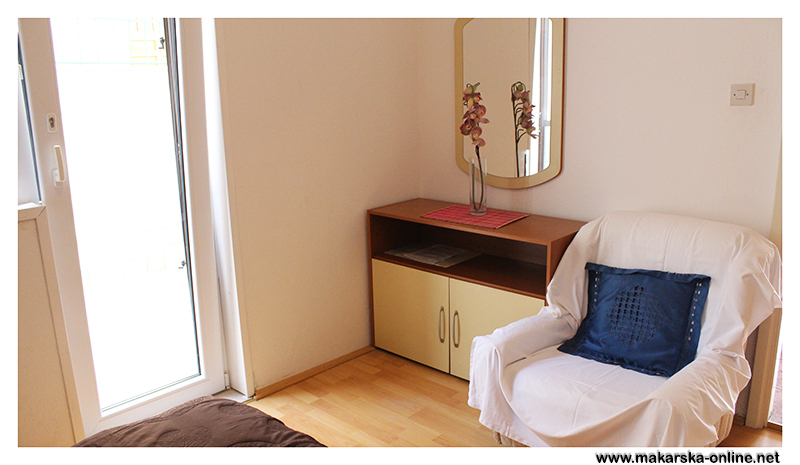 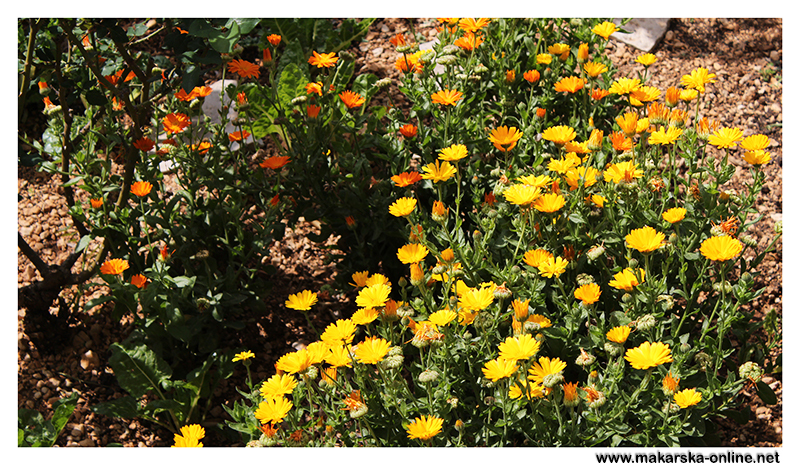 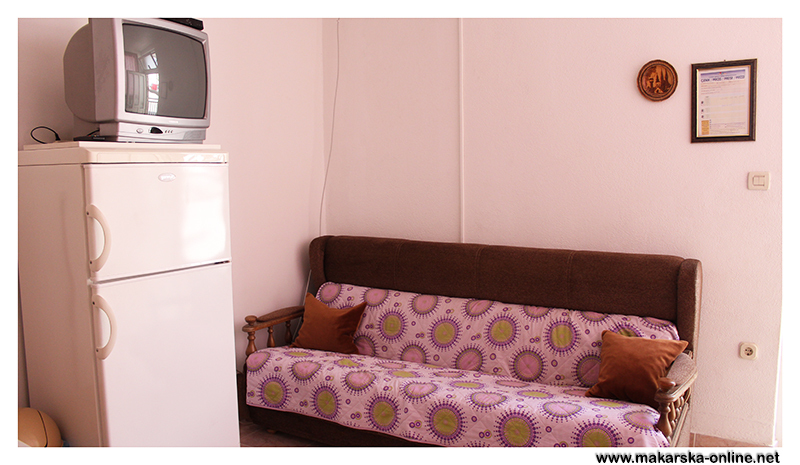 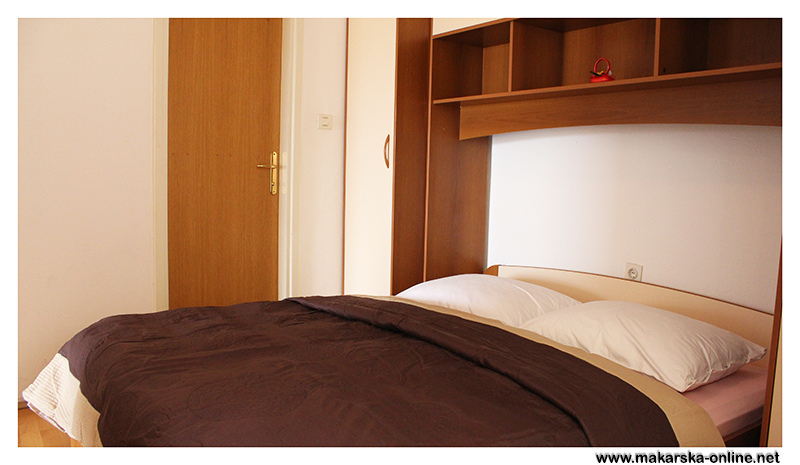 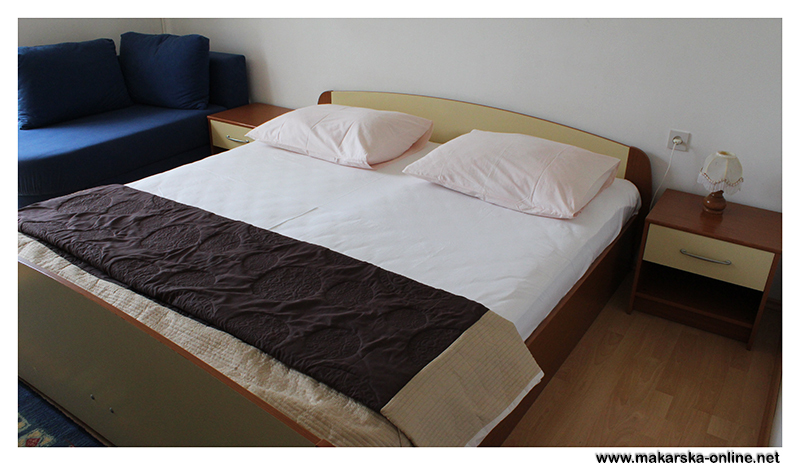 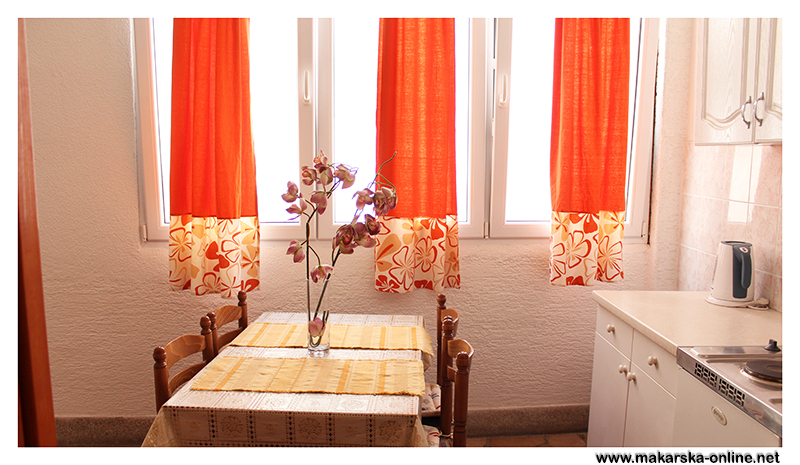 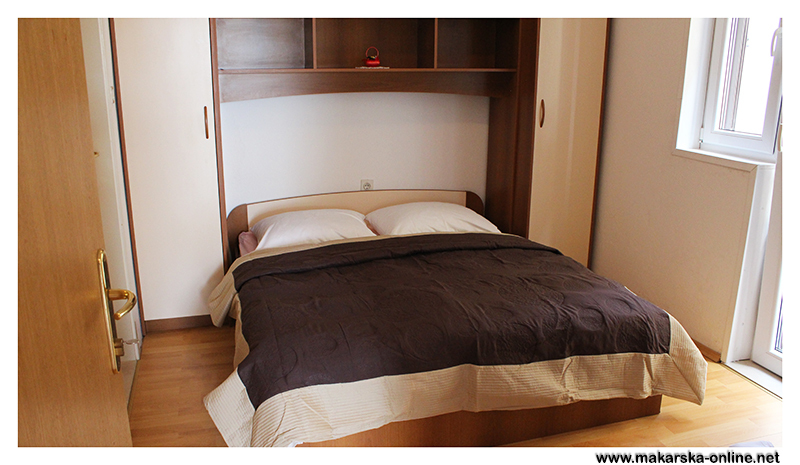 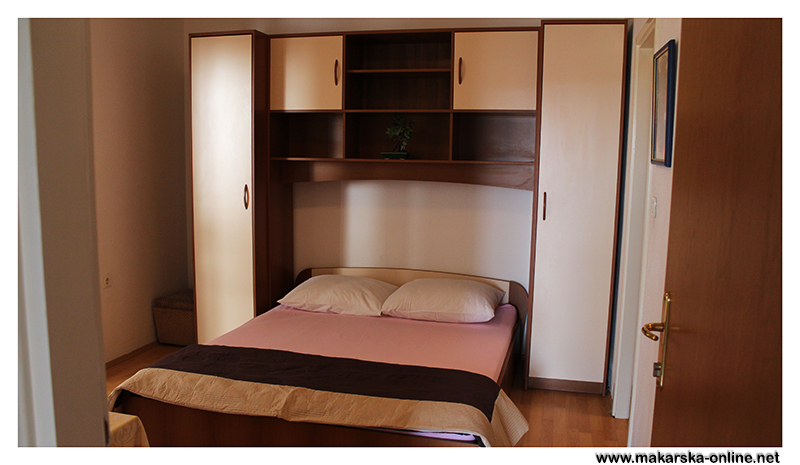 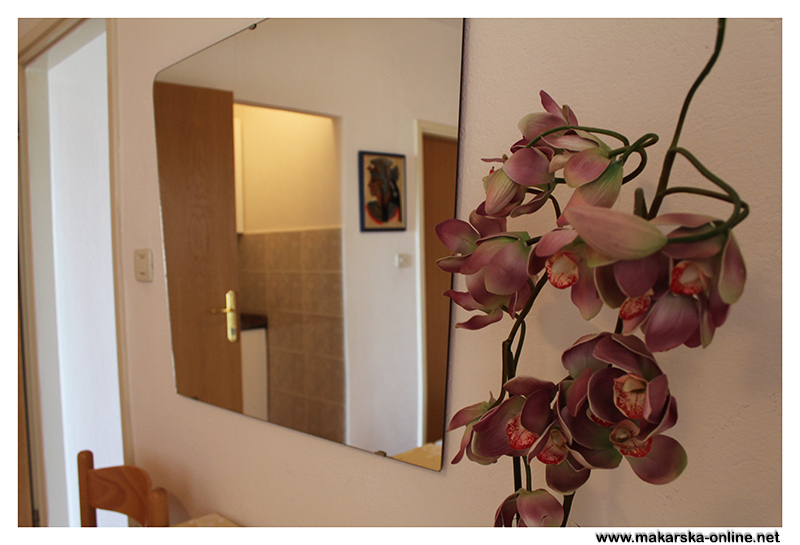 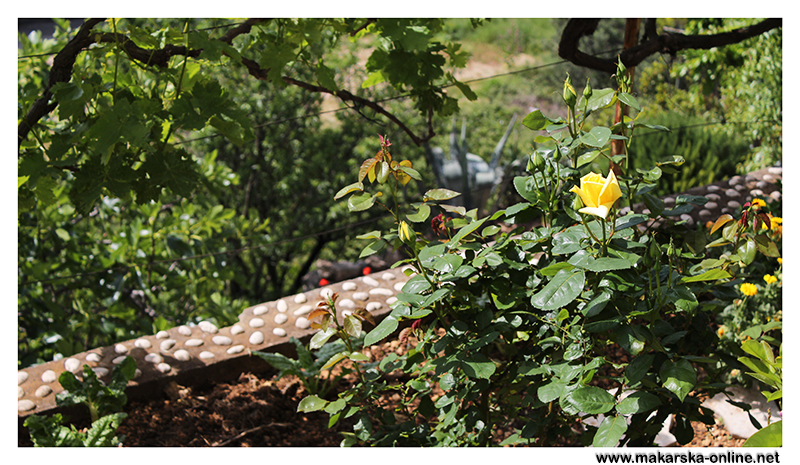 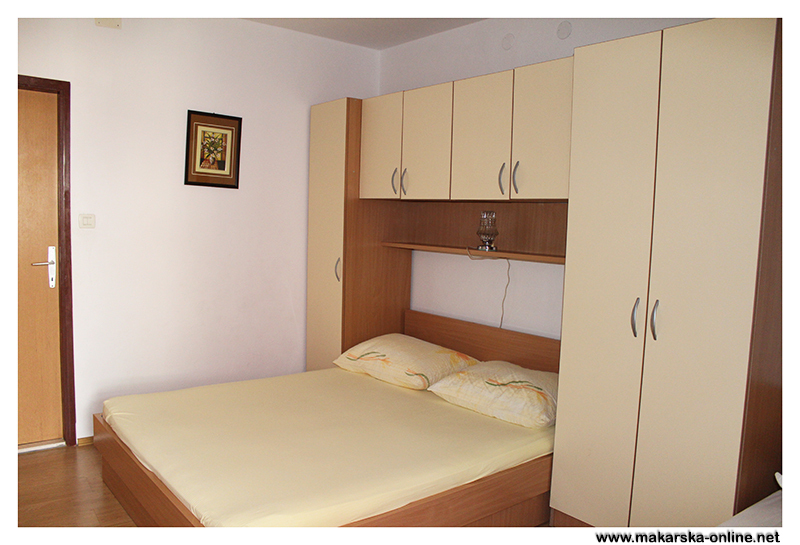 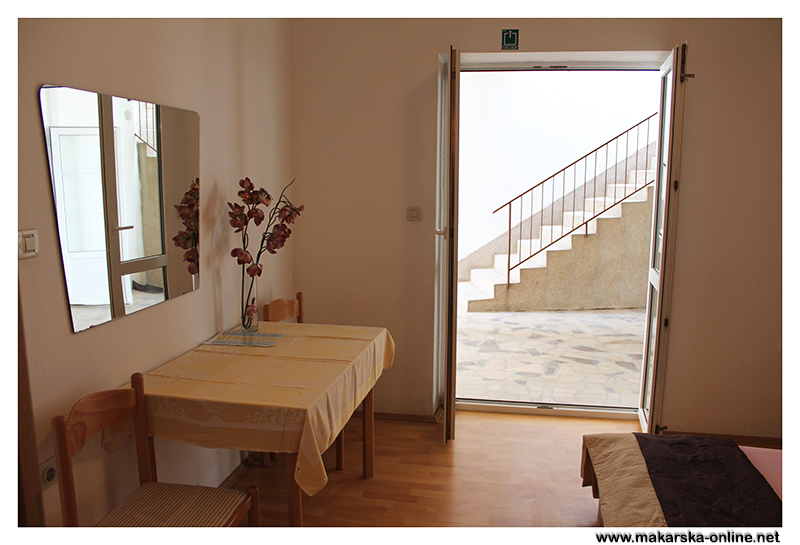 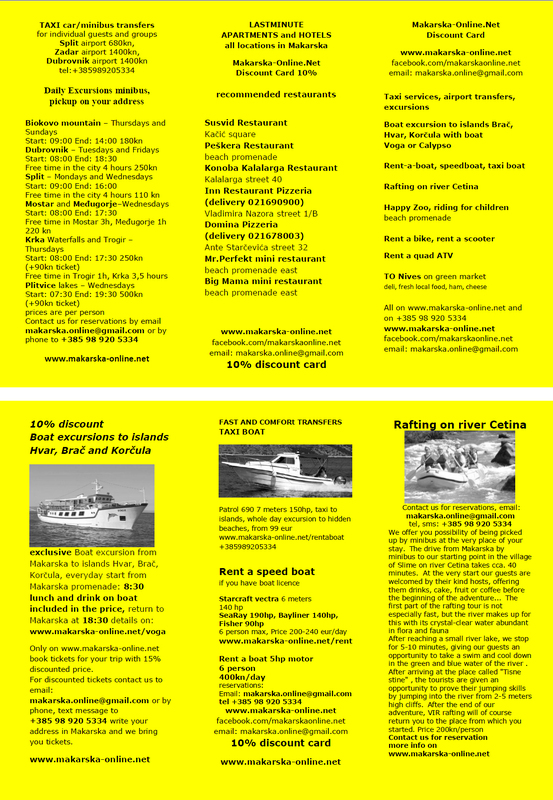 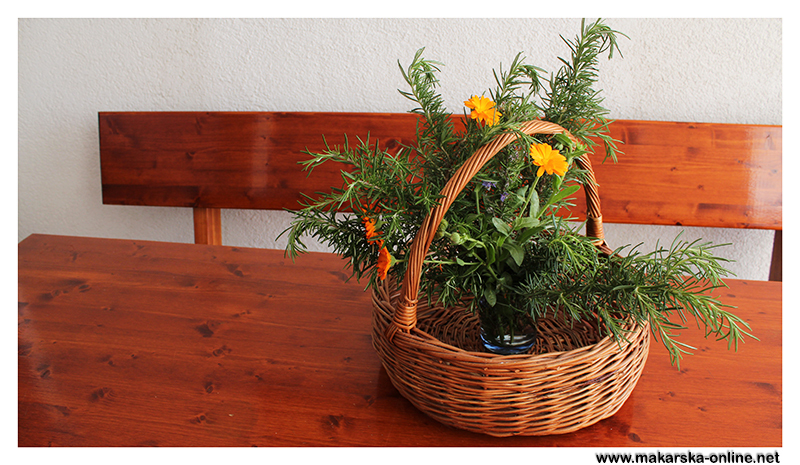 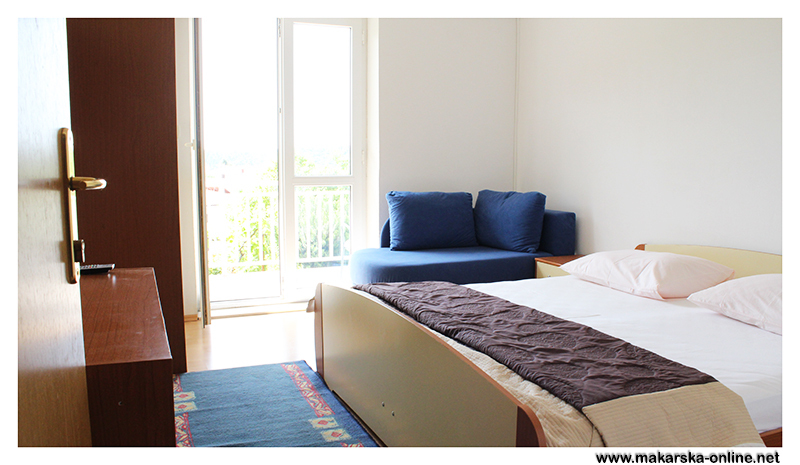 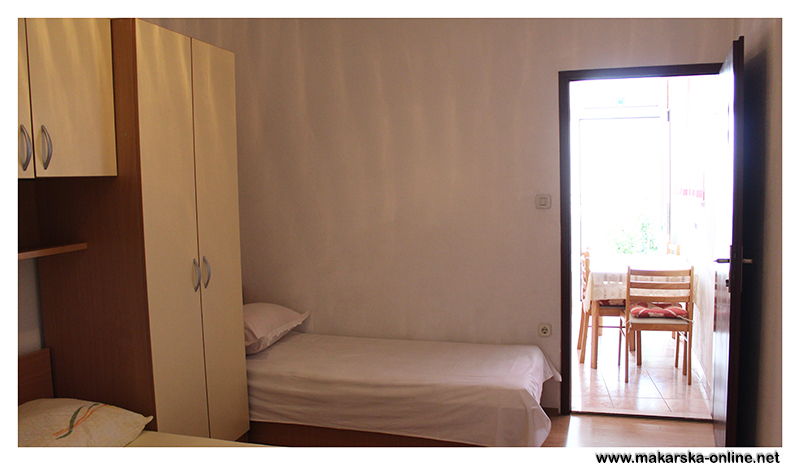 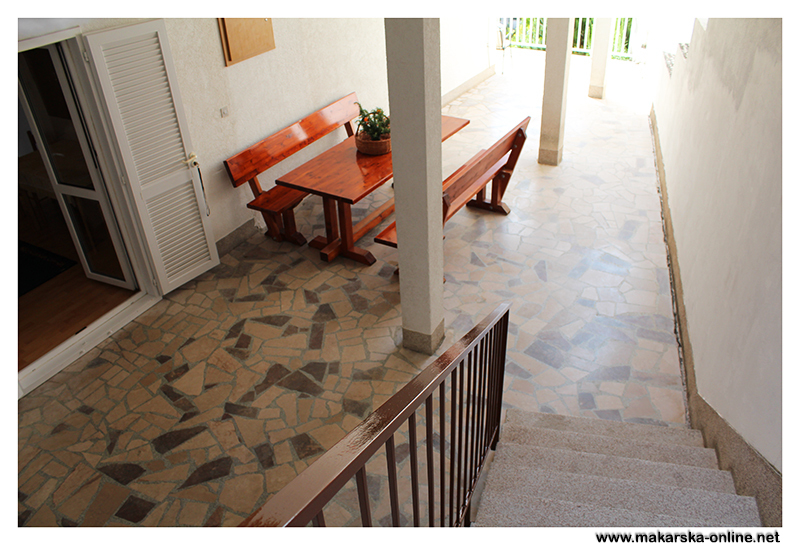 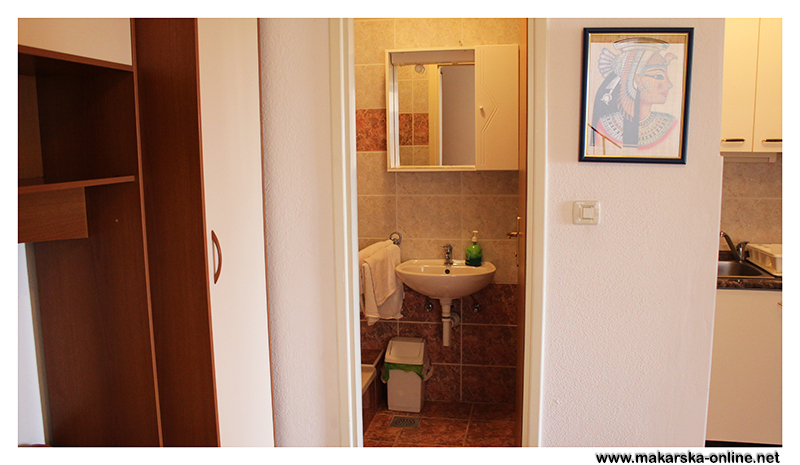 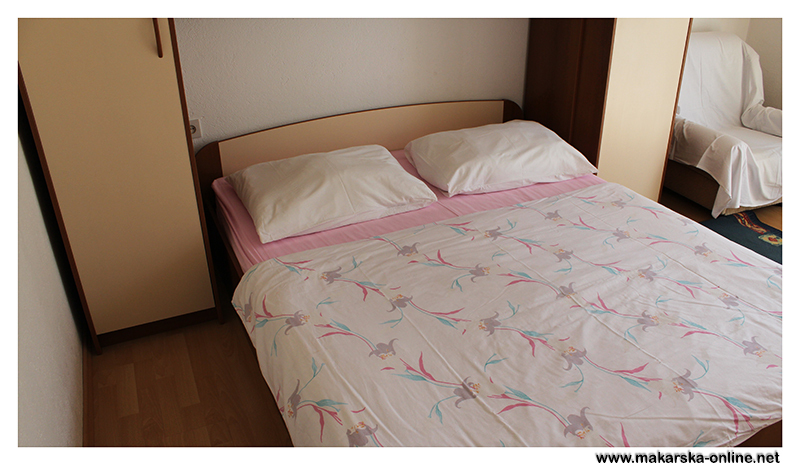 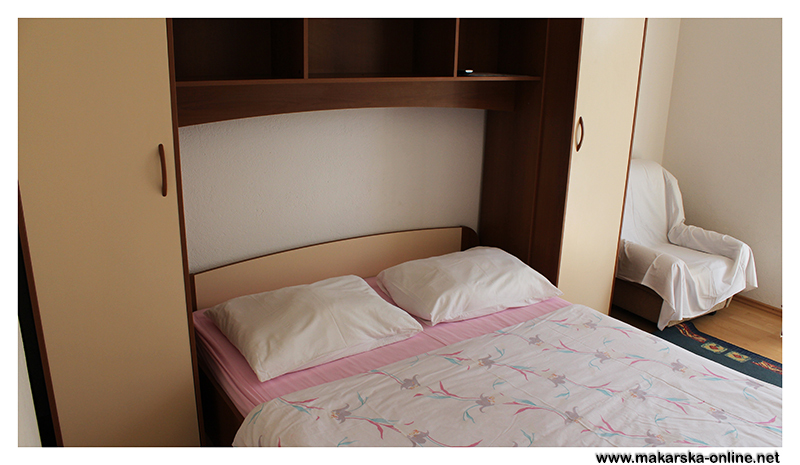 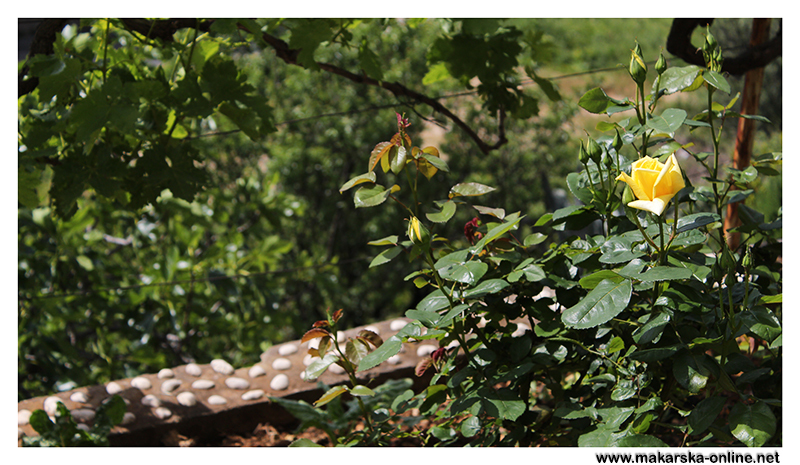 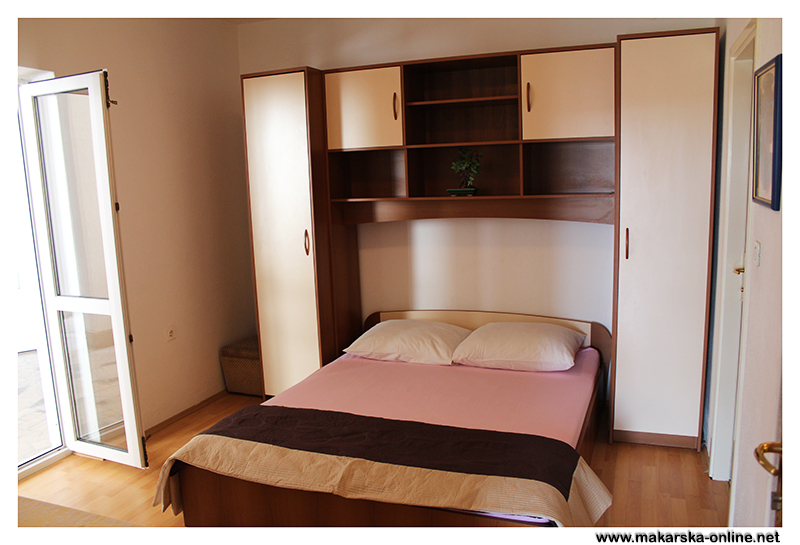 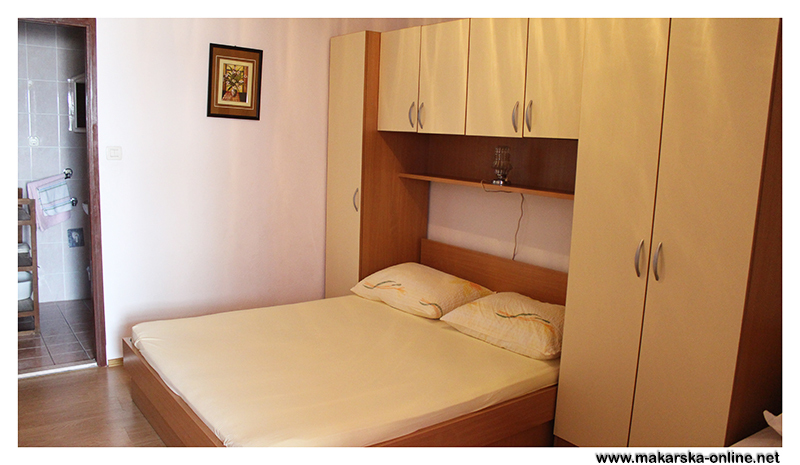 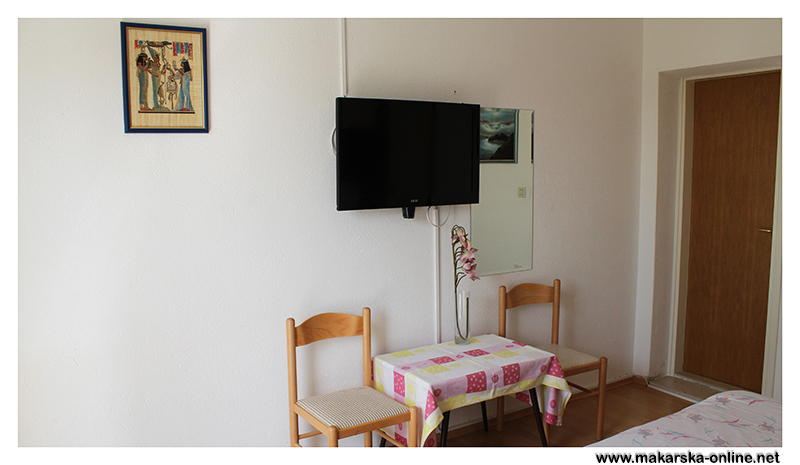 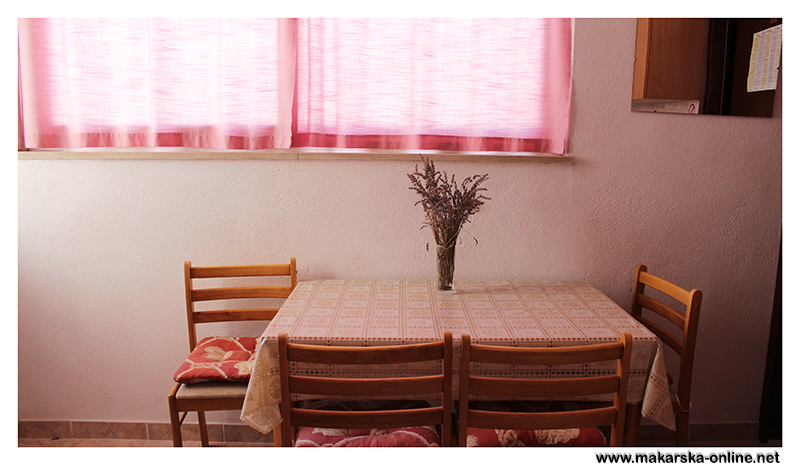 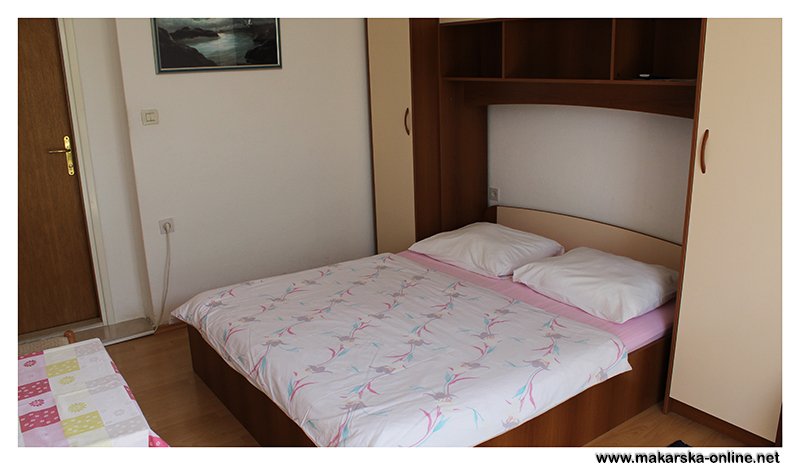 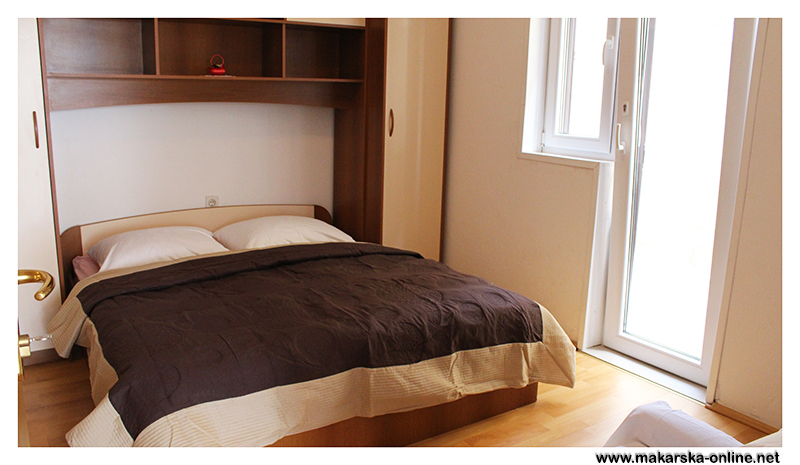 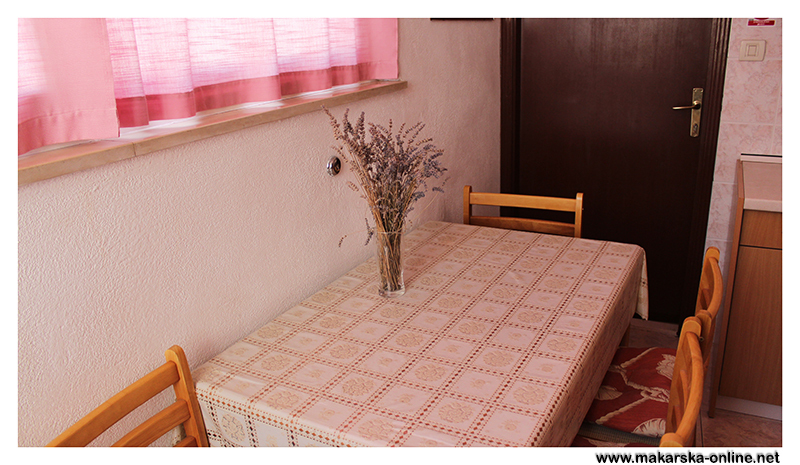 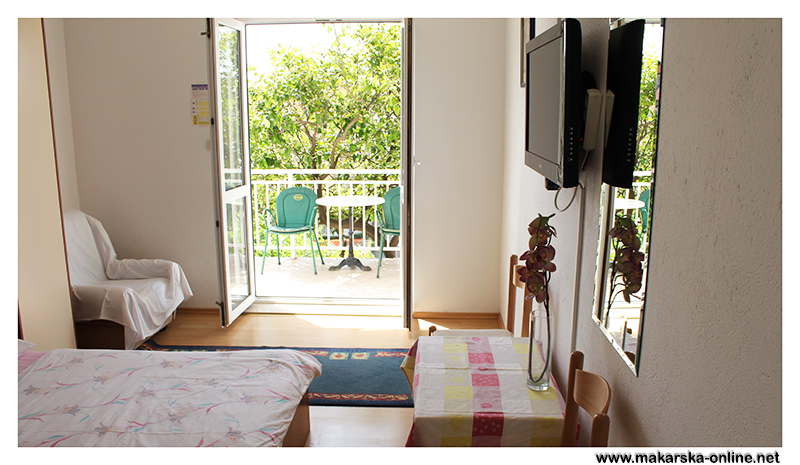 Room is for 2 person and include double bed, tv, bathroom, balcony, parking, use of kitchen. 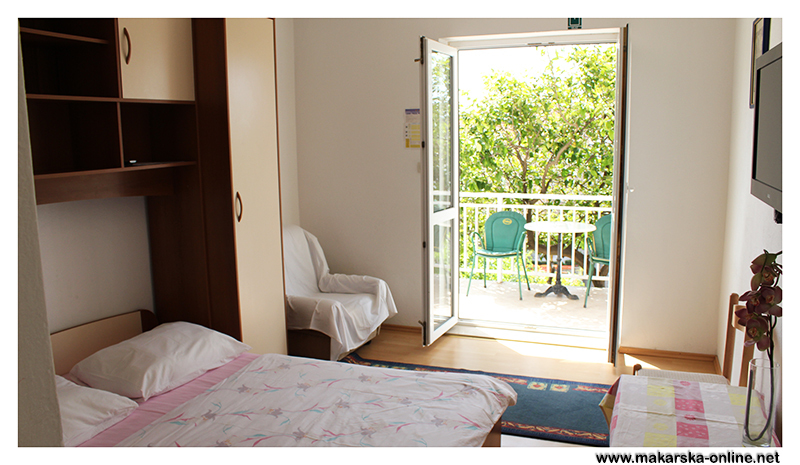 Apartment for 6 person is apartment number 1 and room 1. 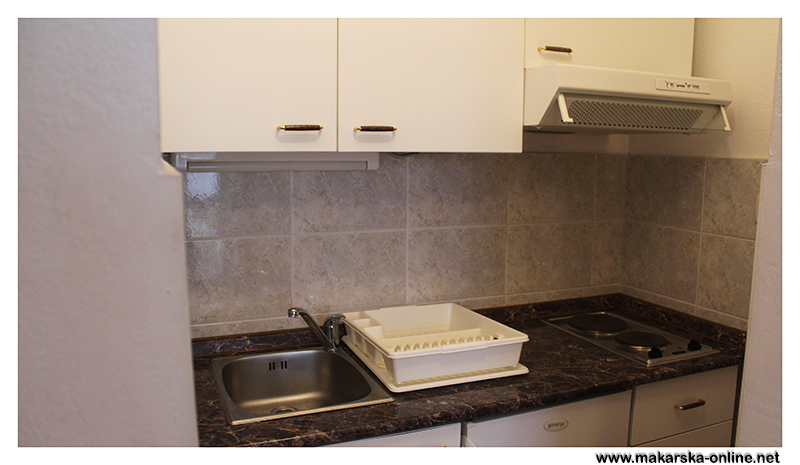 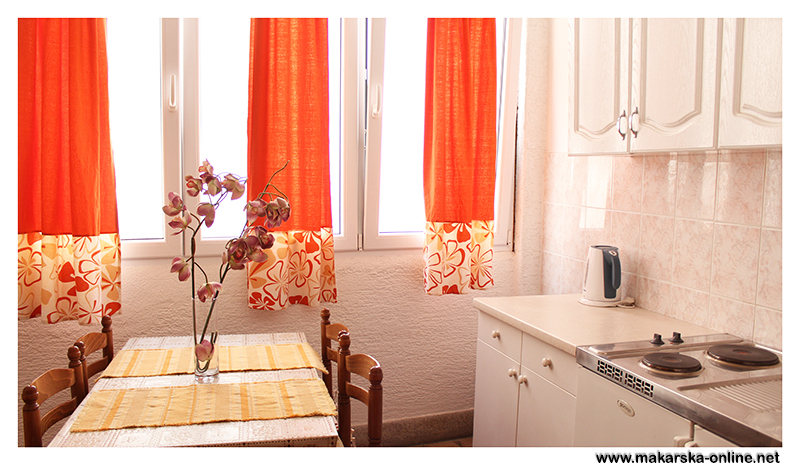 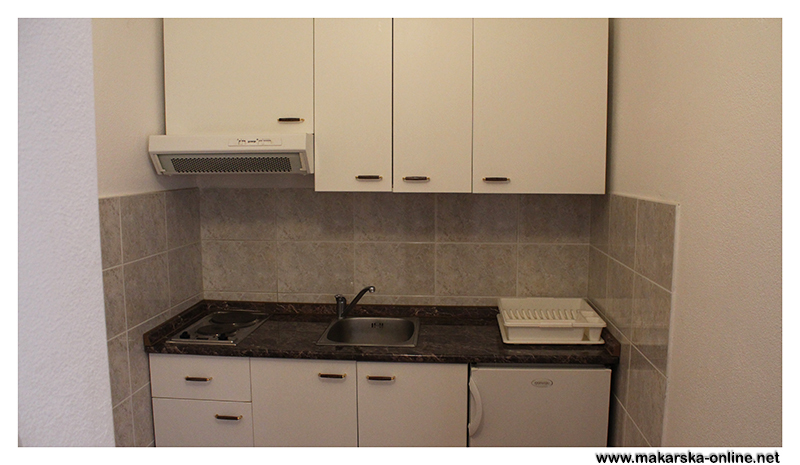 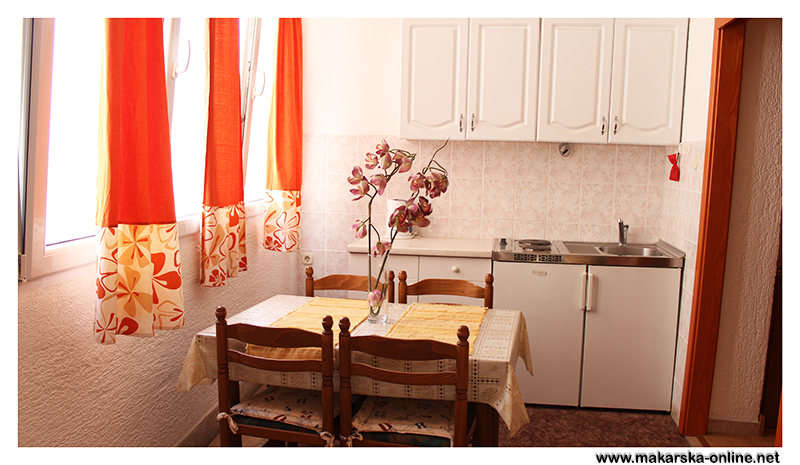 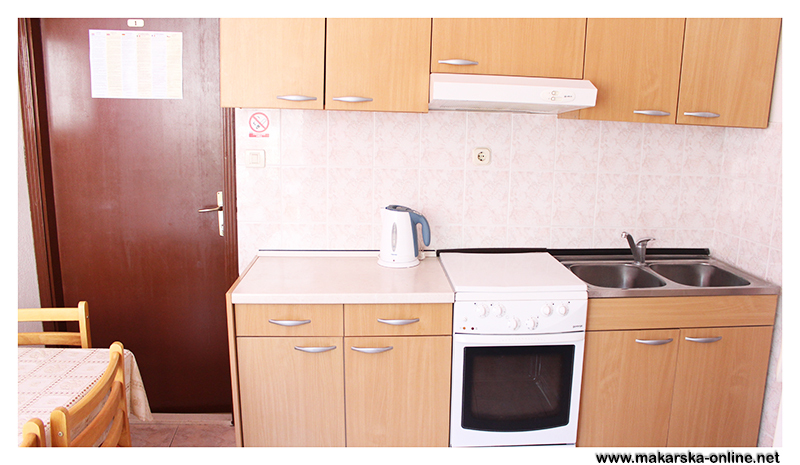 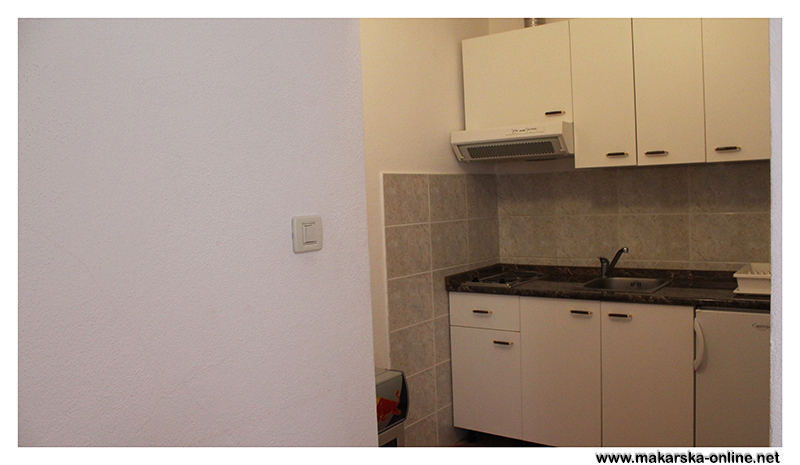 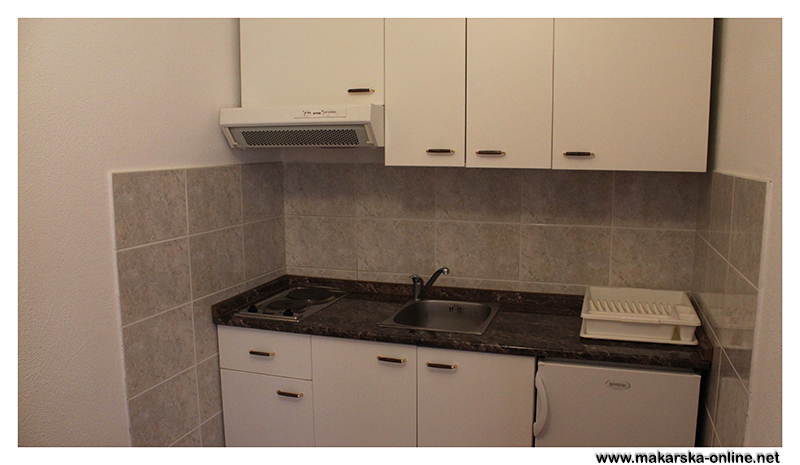 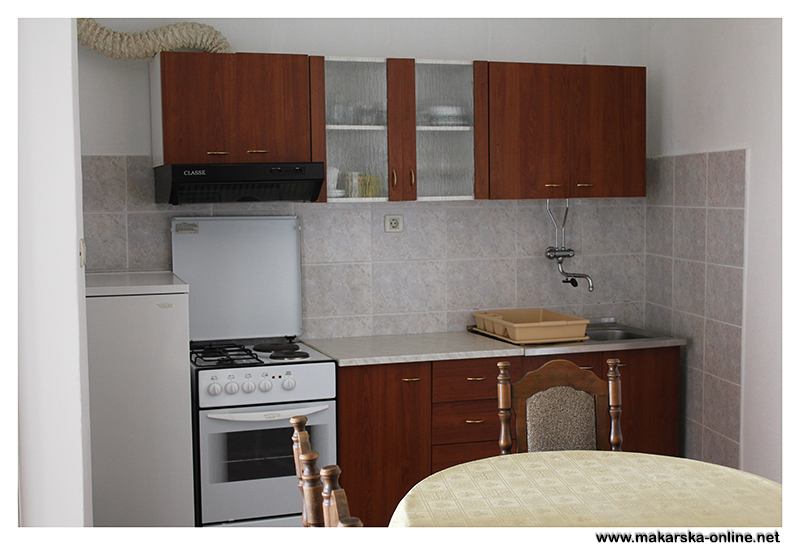 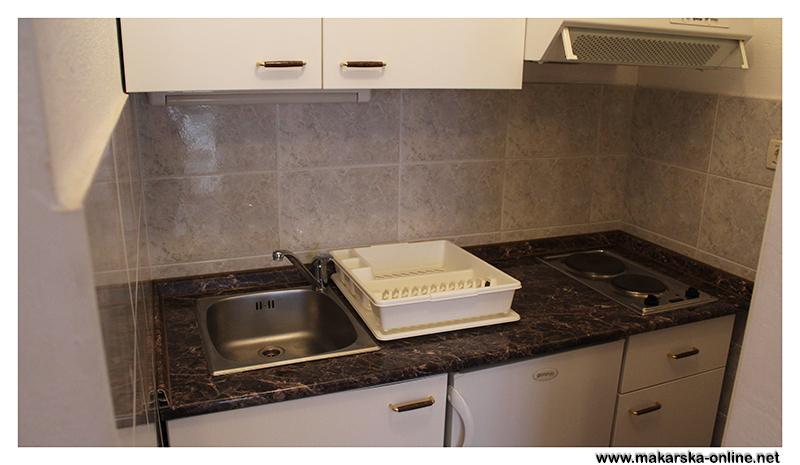 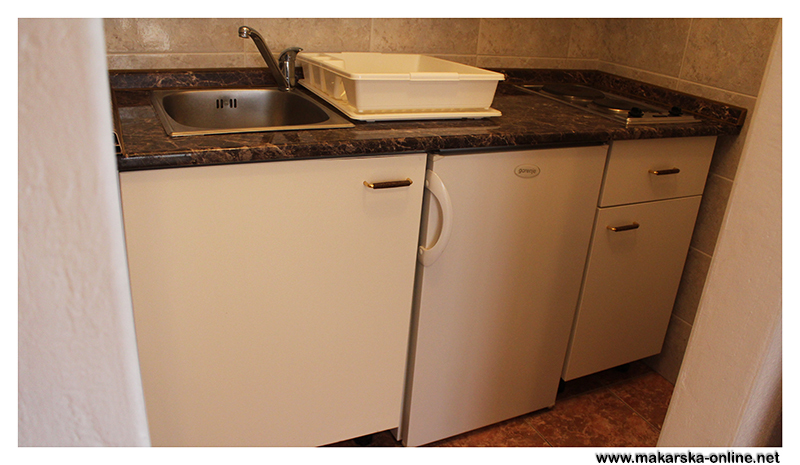 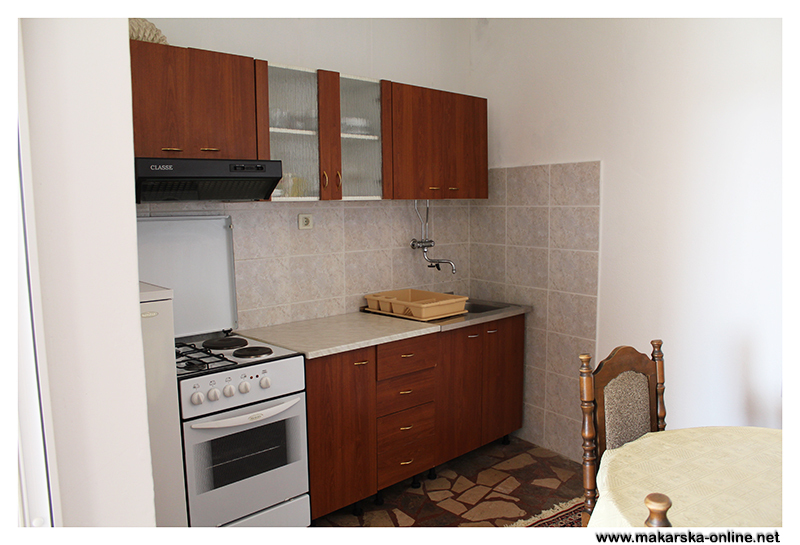 Apartment and room are on same floor and together have one big kitchen with dinning room, big terrace. 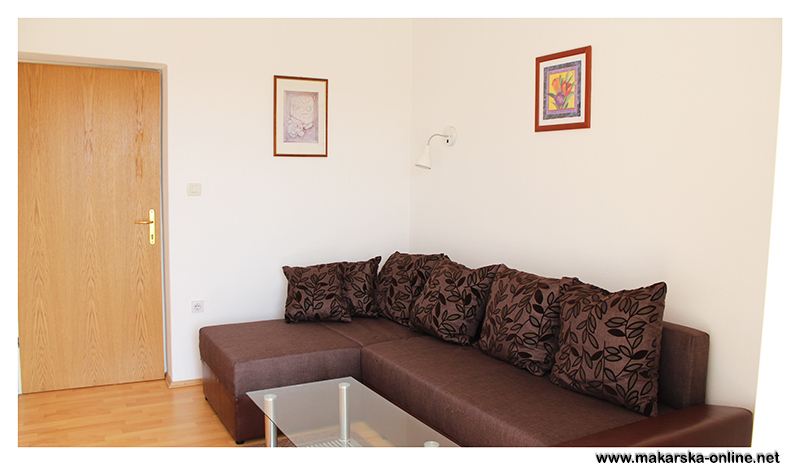 Apartment number 2 include one bedroom, living room with stretch sofa for two person. 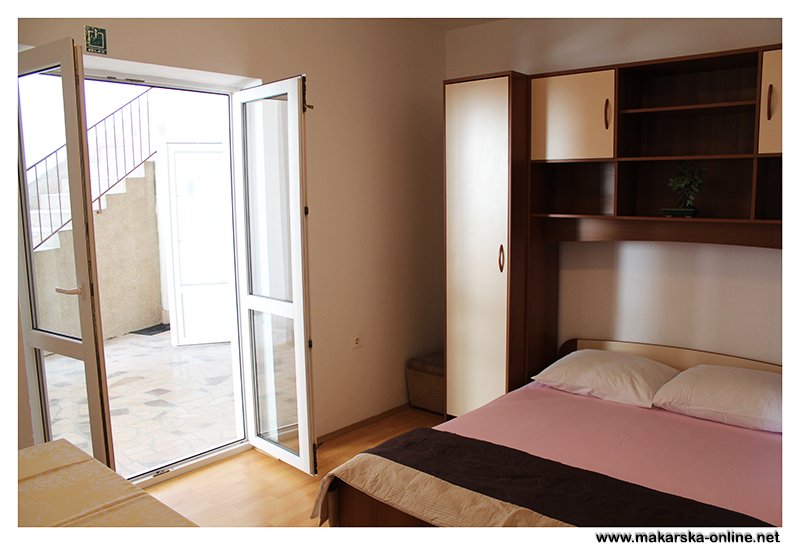 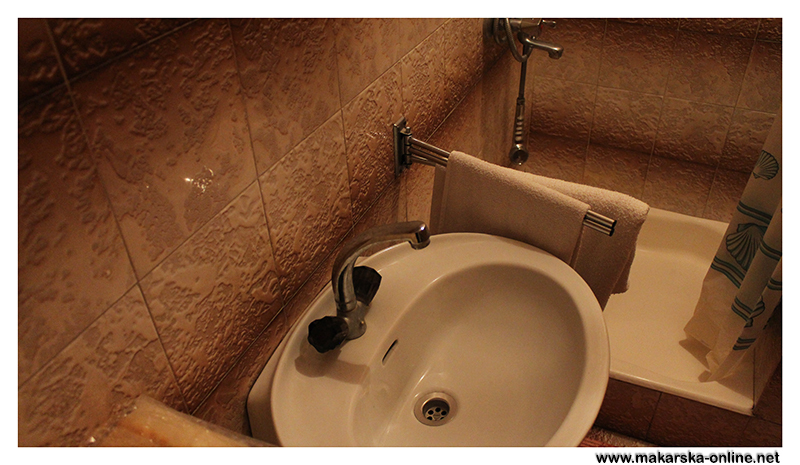 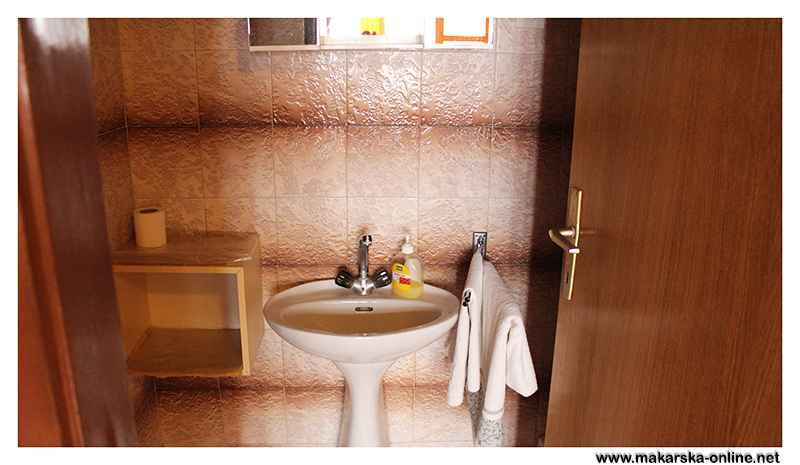 Each room have own entrance and bathroom, kitchen is between bedroom and living room in separated room. 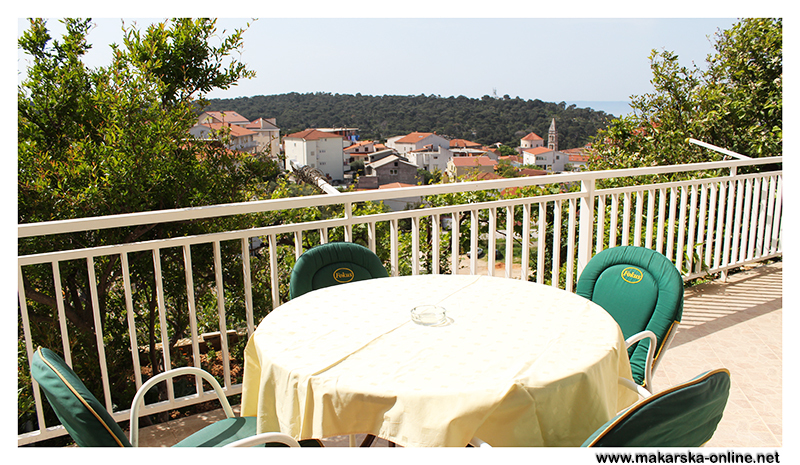 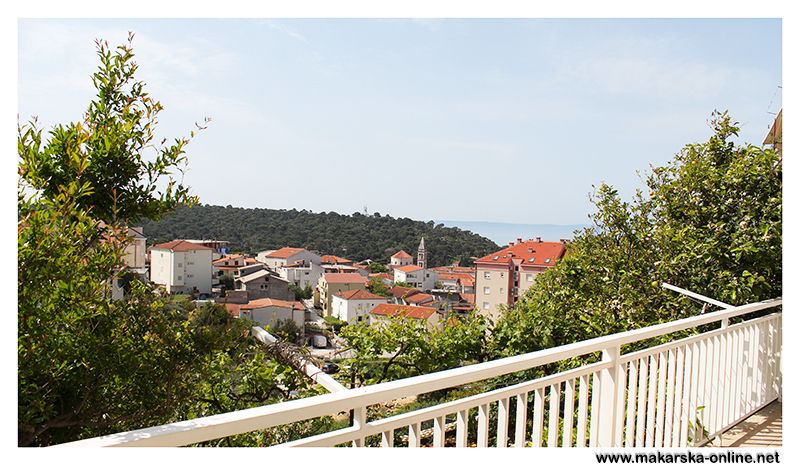 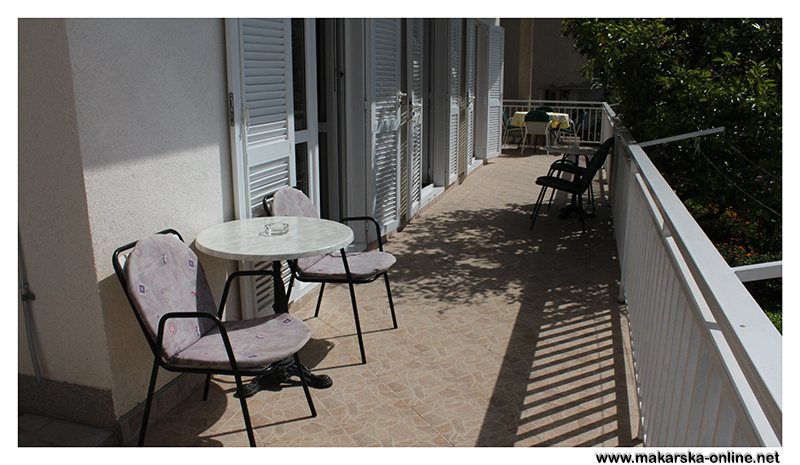 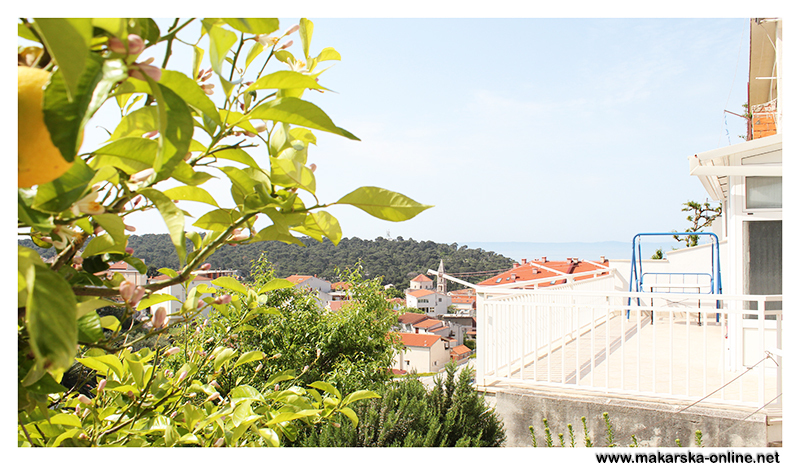 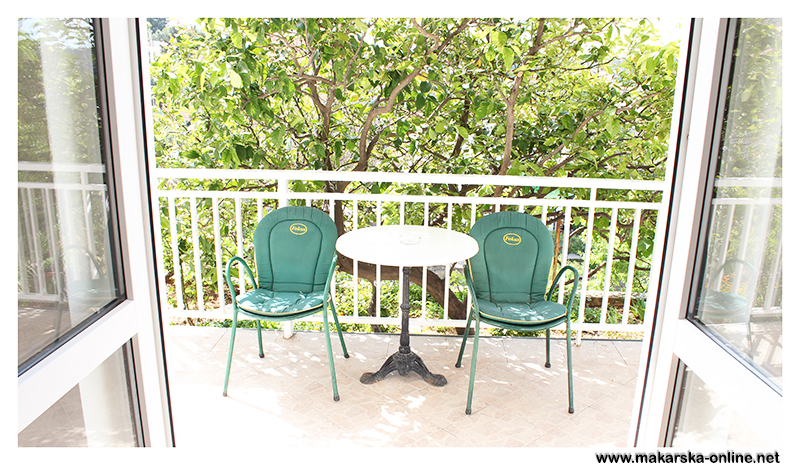 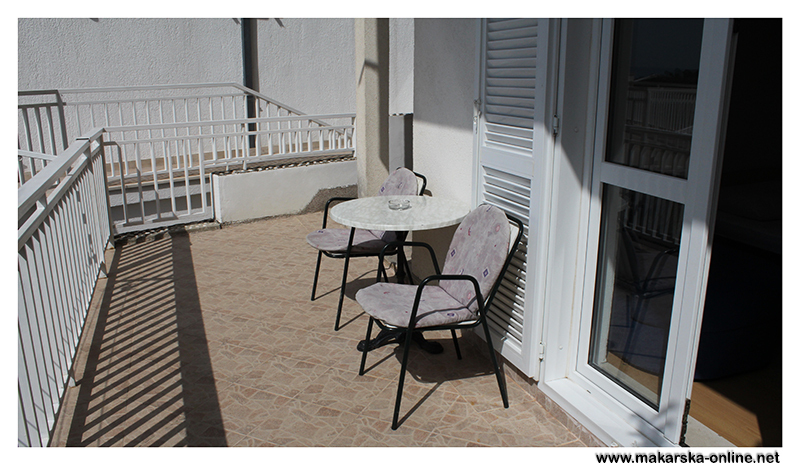 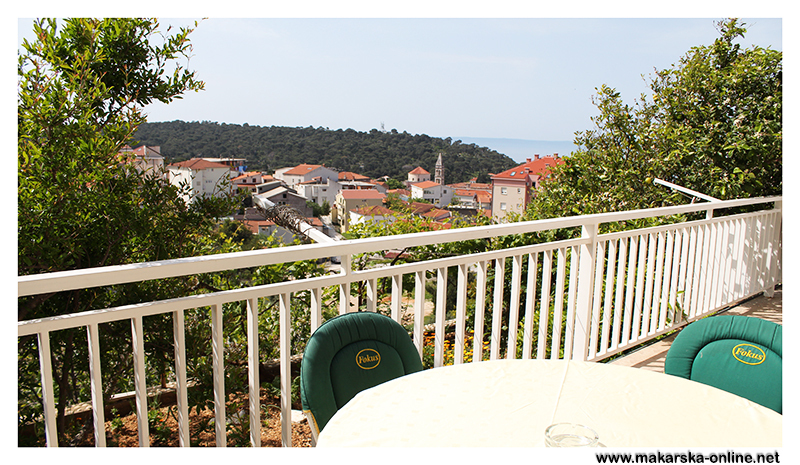 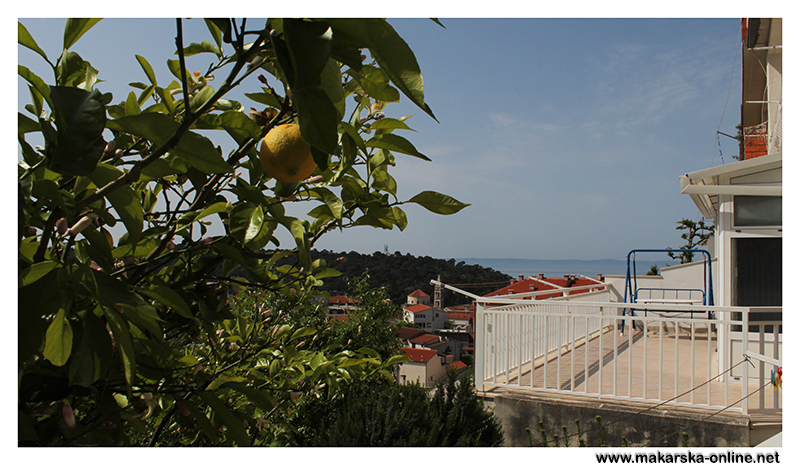 Apartment also have big terrace with view on town and sea, air codniton, sat/tv, parking. 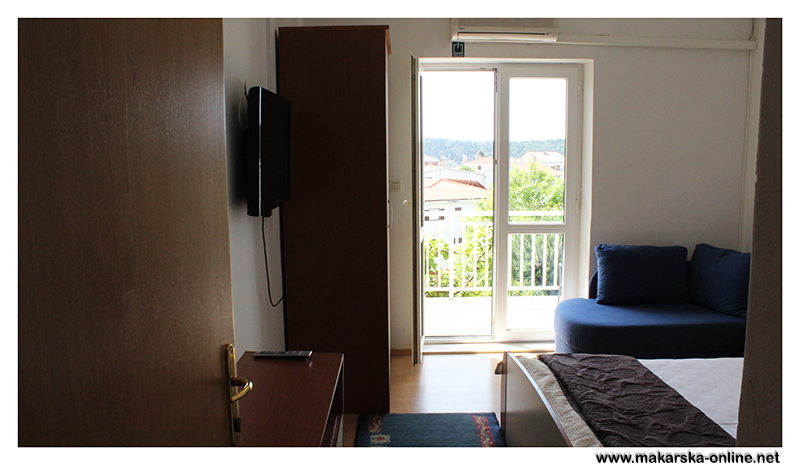 Apartment number 3 include one bedroom with double bed and single bed, bathroom, kitchen, living room, air condition, tv, parking, terrace. 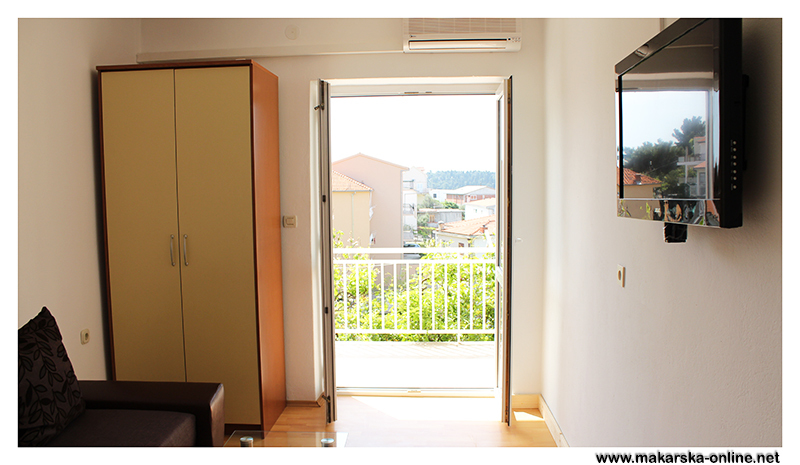 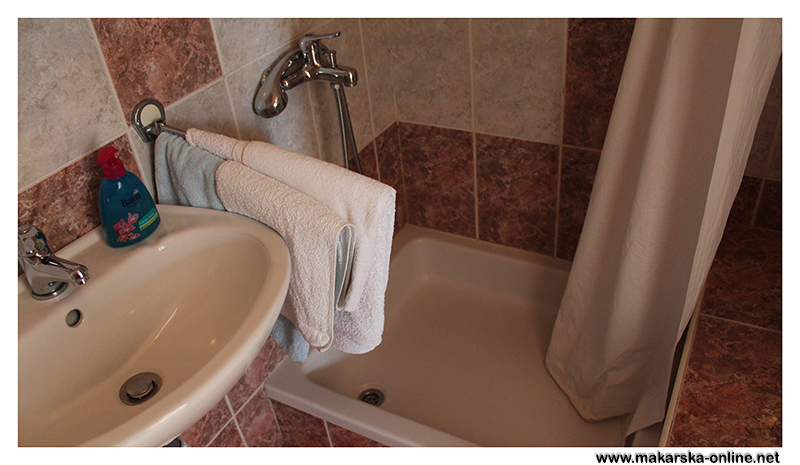 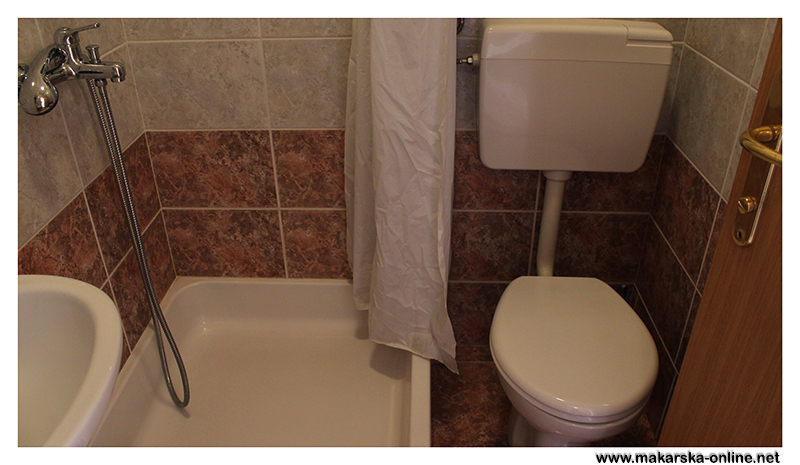 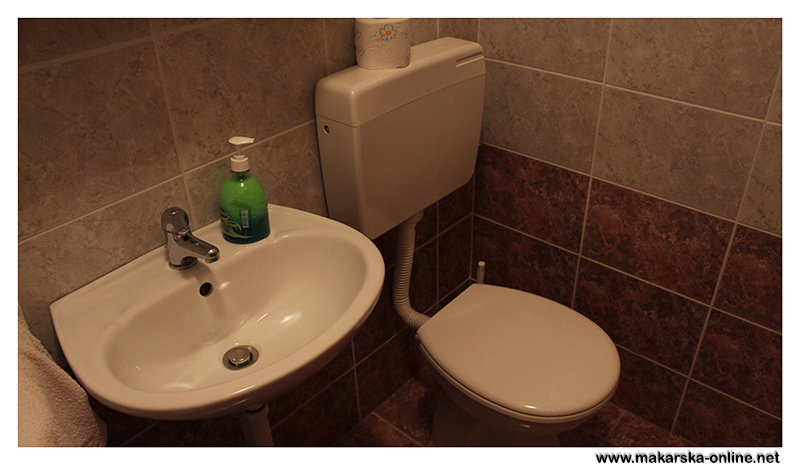 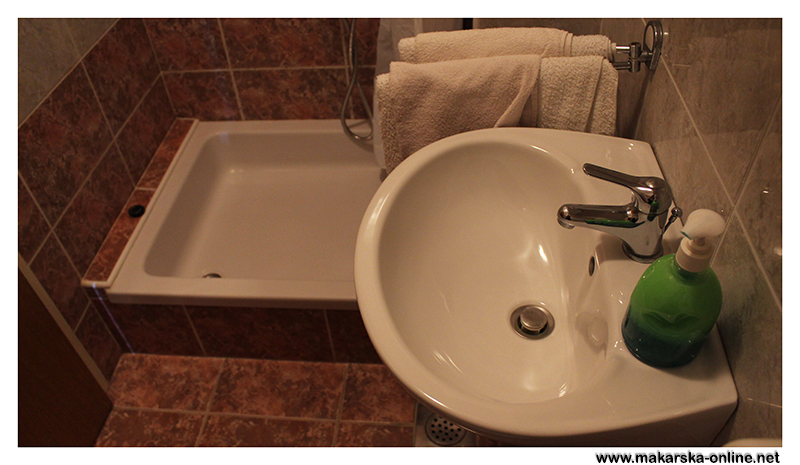 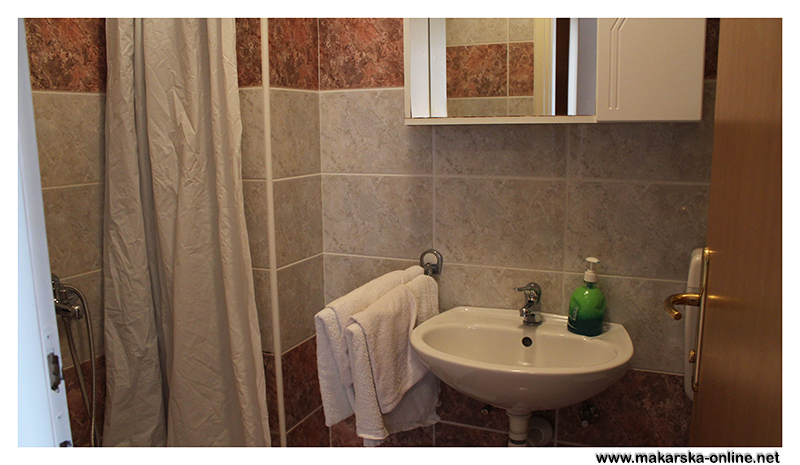 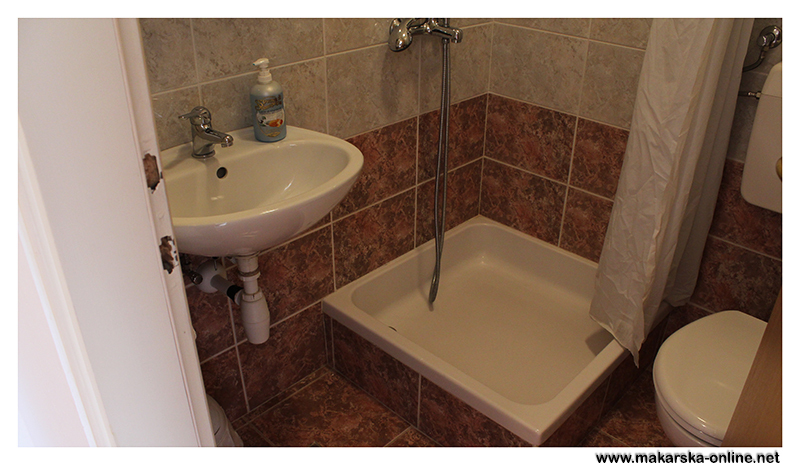 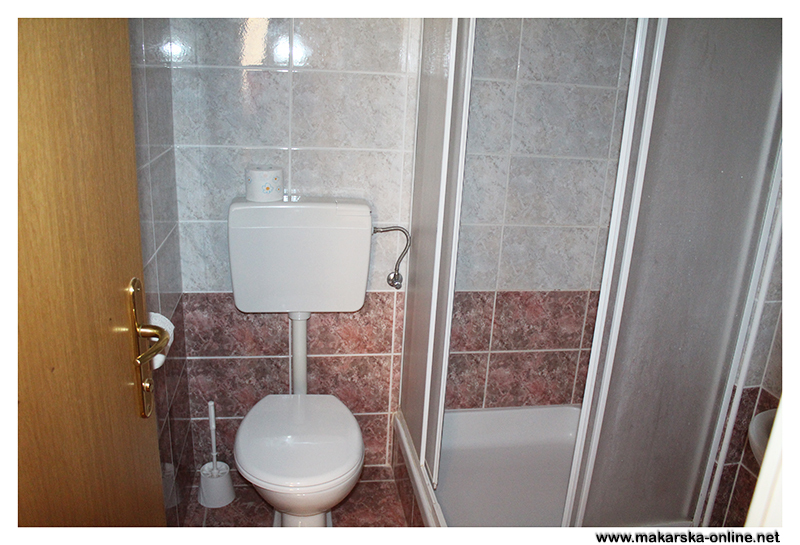 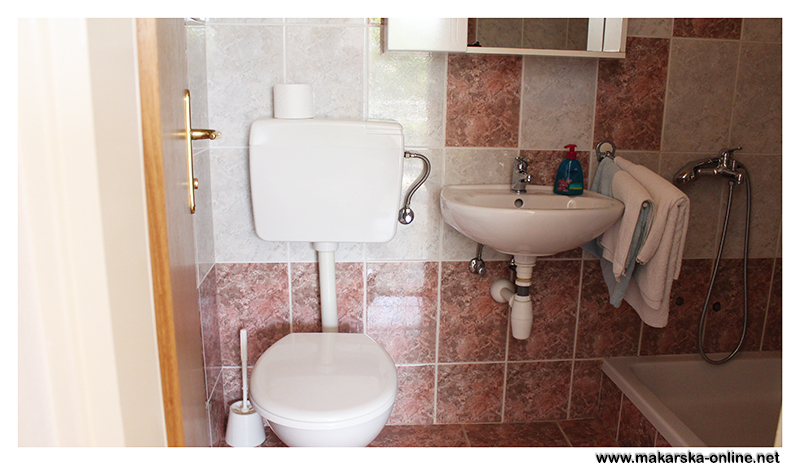 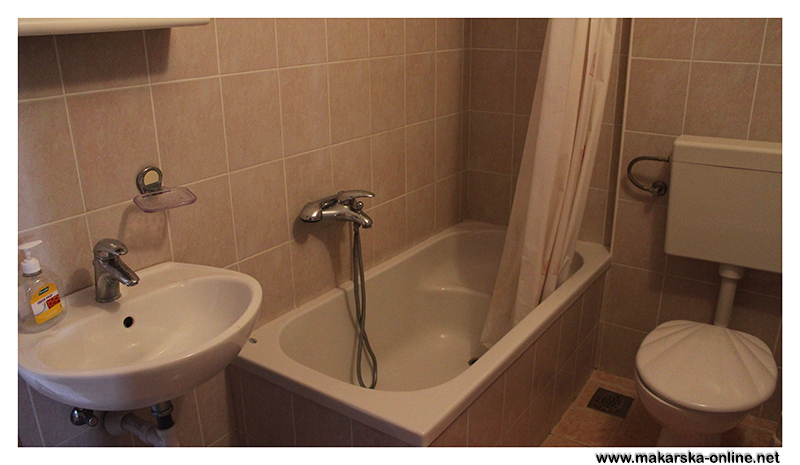 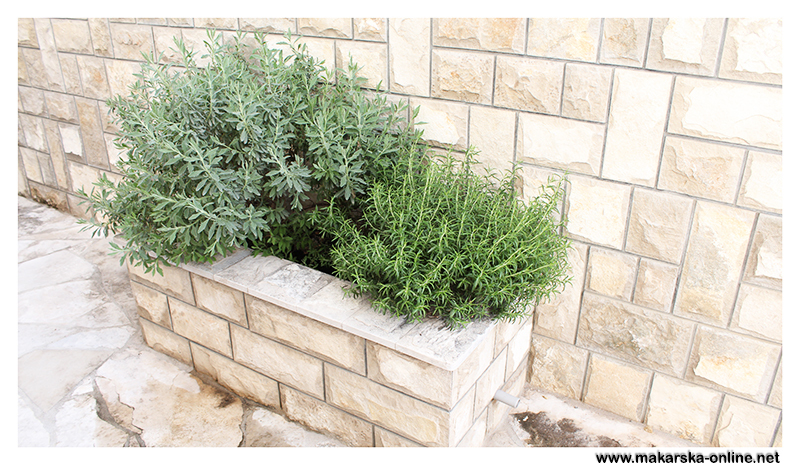 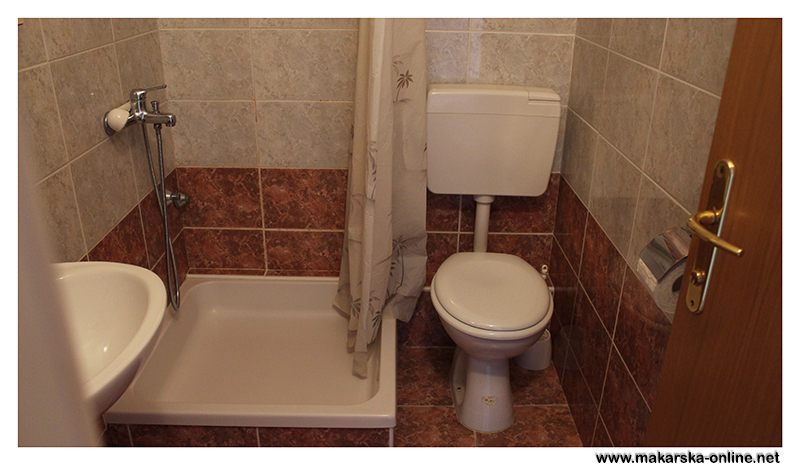 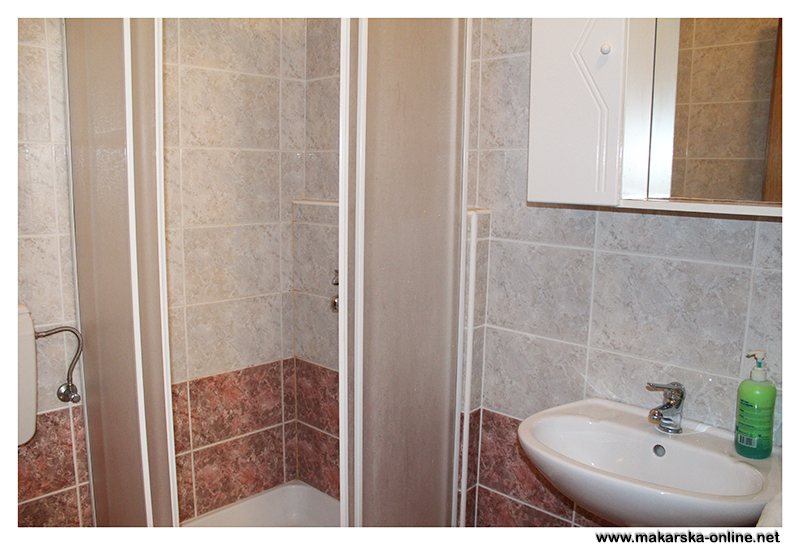 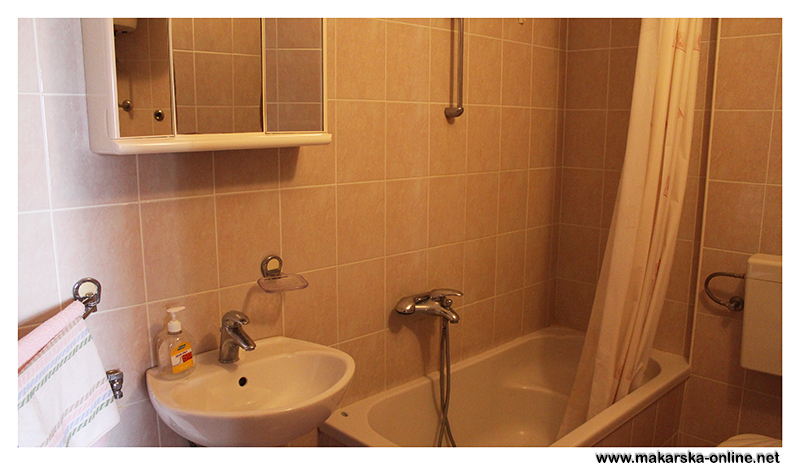 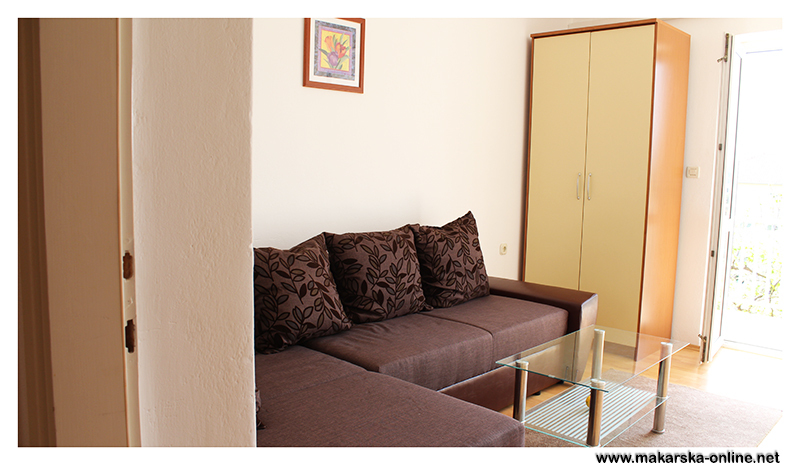 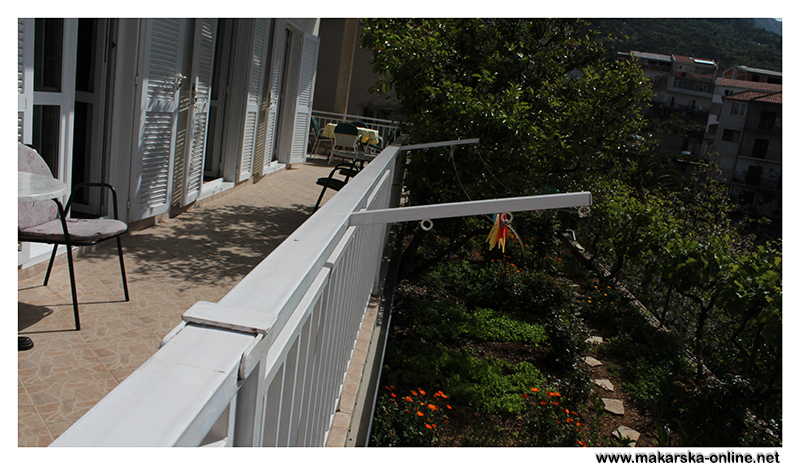 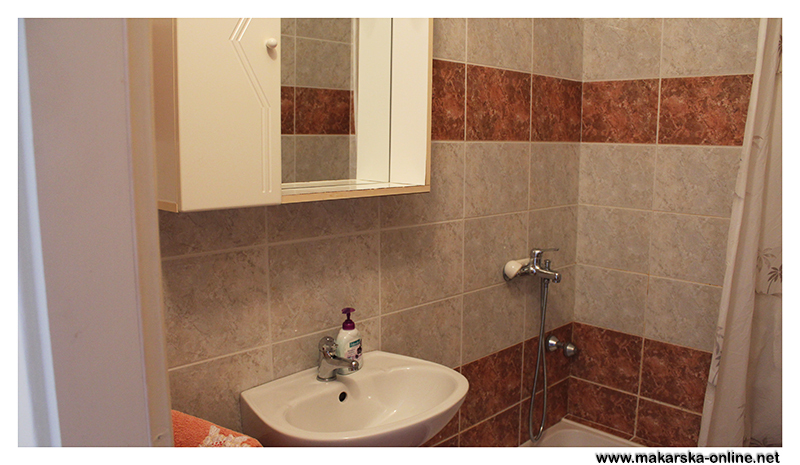 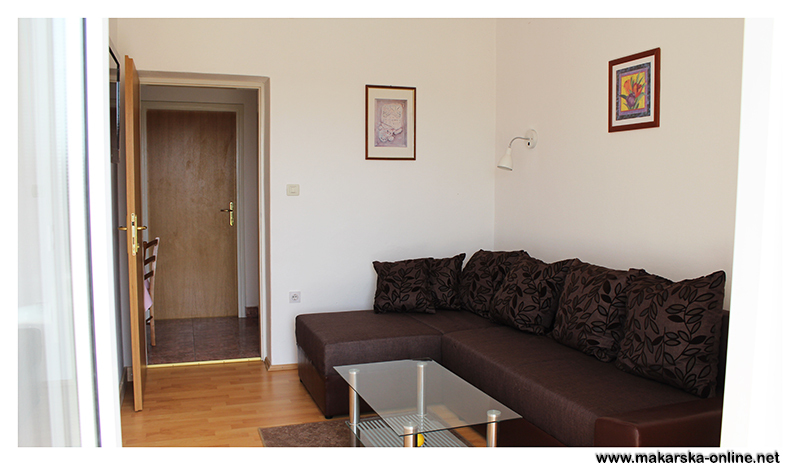 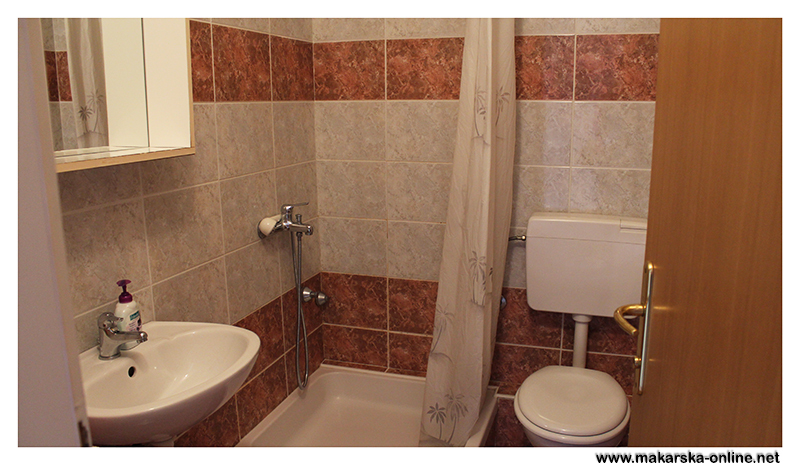 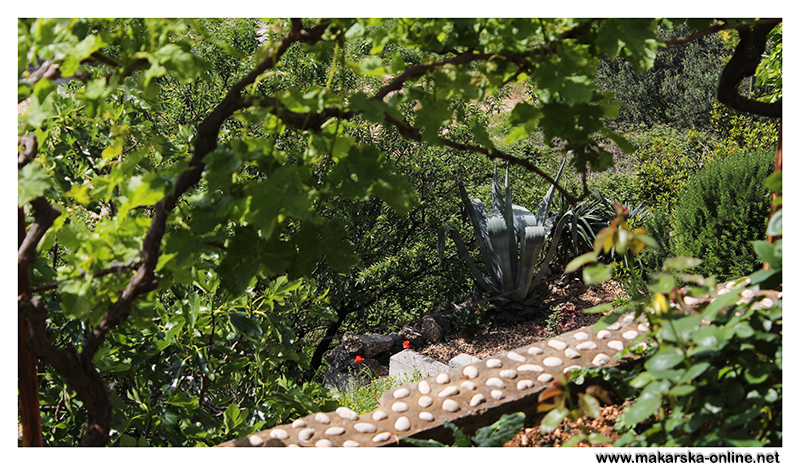 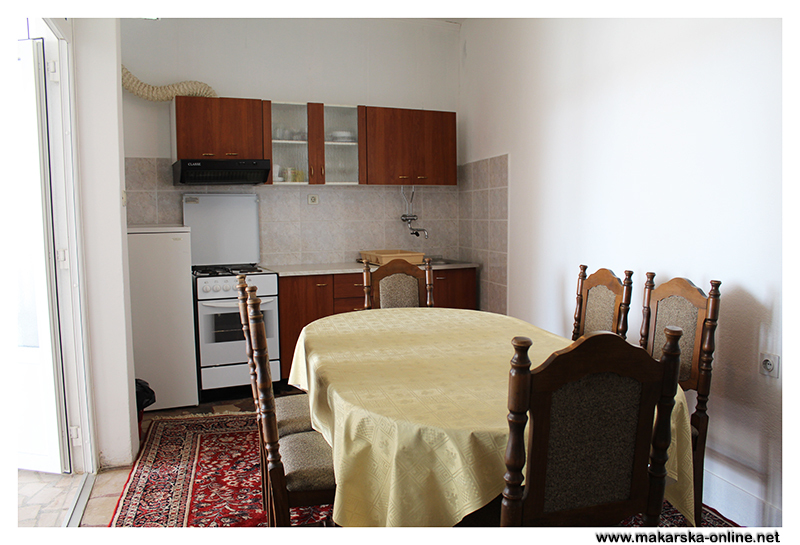 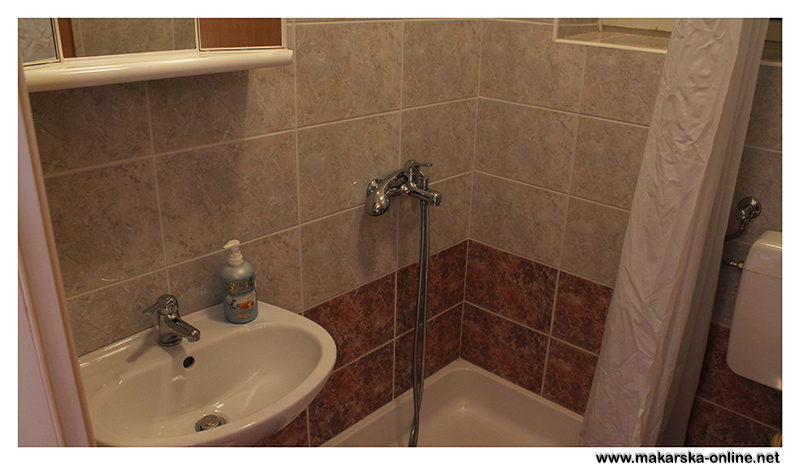 Apartment include one bedroom with double bed and single bed, bathroom, kitchen, air codnition, tv, terrace, parking.